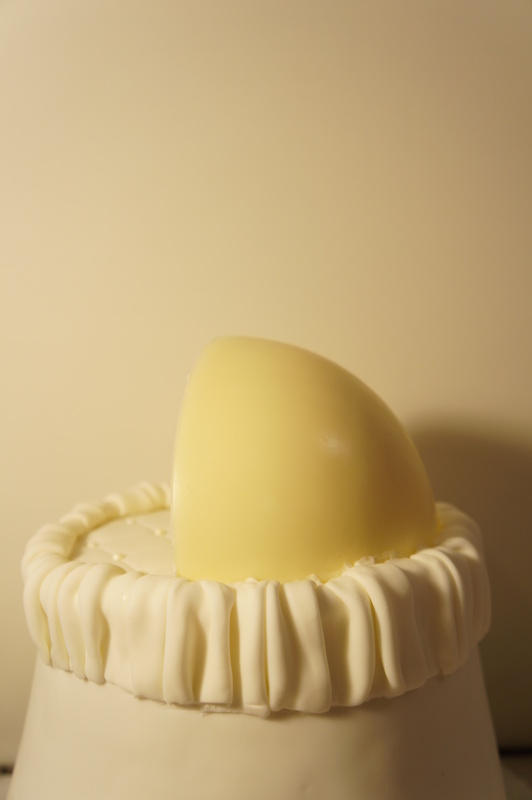 Sharkie was the first structured carved cake that I have ever made. 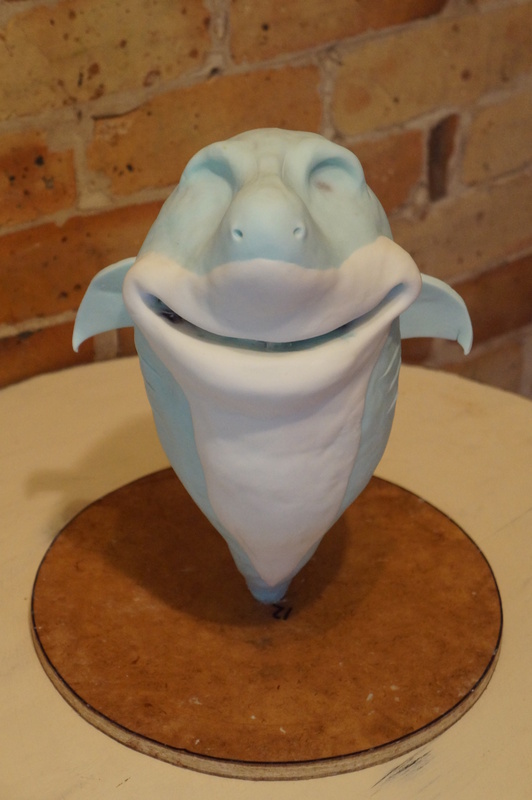 I managed to take some “process shots”, this is not in depth but gives a rough idea of how I achieved Sharkie. 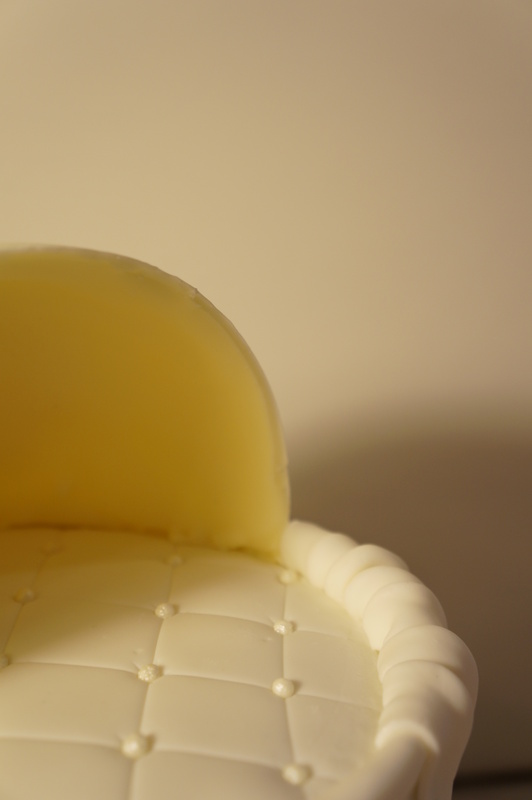 I learnt a lot and now I think I’m addicted to 3D cakes. Thanks to my friends Nina and Karin for all you help! 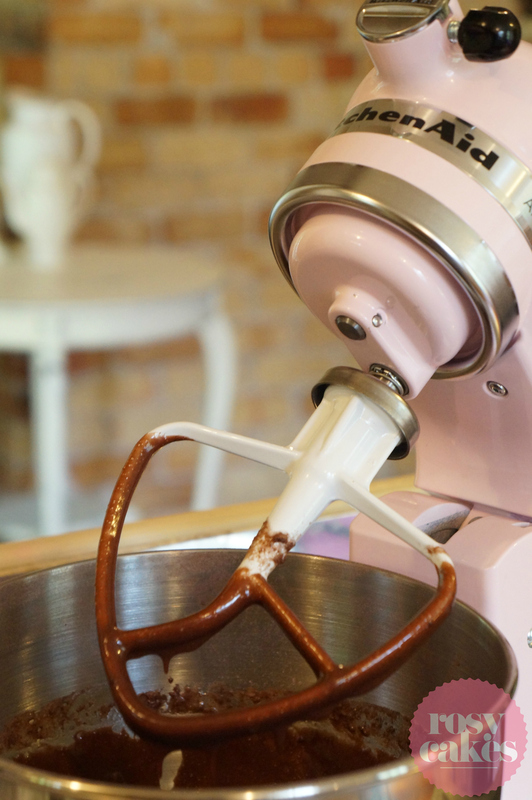 Mix mix mix, as easy as that! All in one bowl! IMPORTANT! 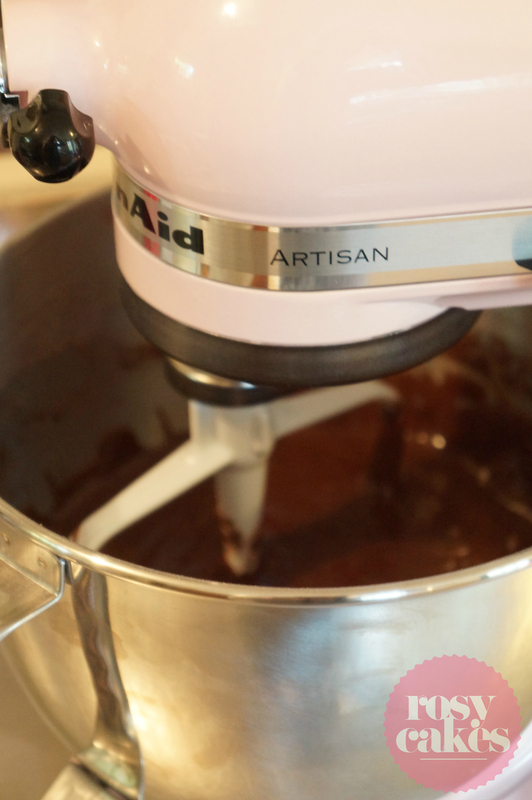 This cake is yummy when it’s fresh out of the oven, BUT if you can wait at least a day it is so worth it! It gets better over a couple of days. 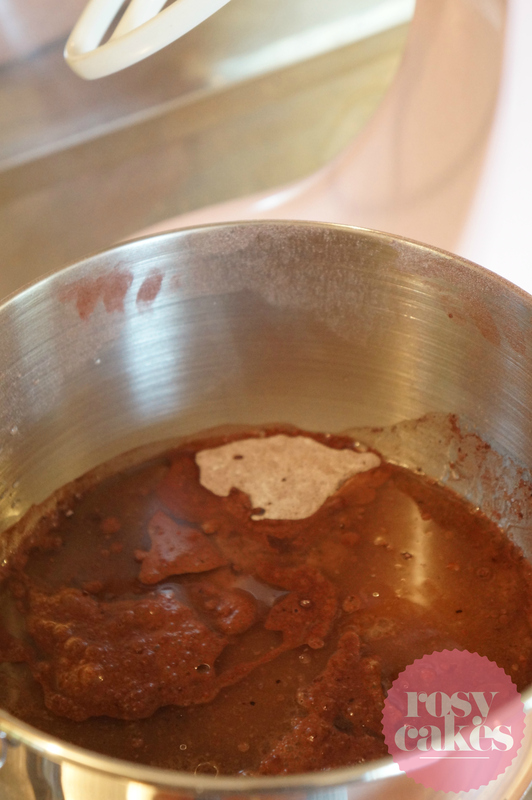 This recipe will make approx. 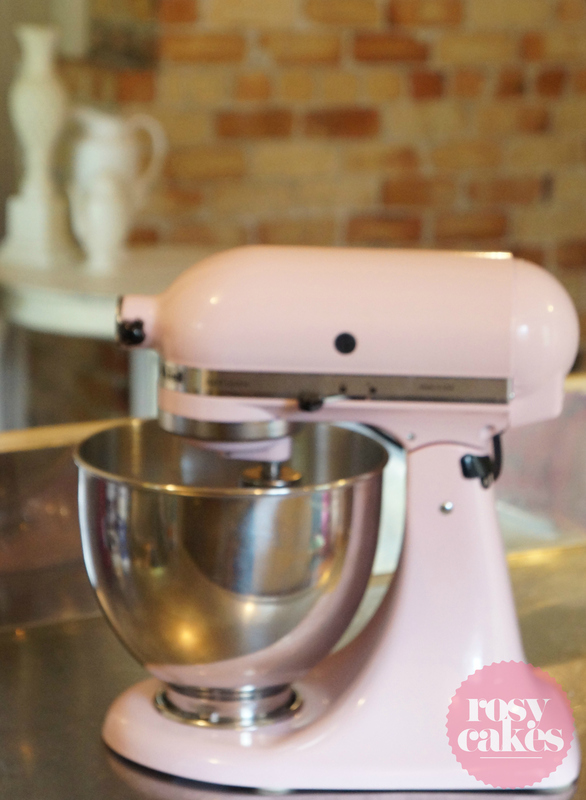 24 cupcakes, bake approx. 25 mins at 180 and they are also better the next day. There you go! 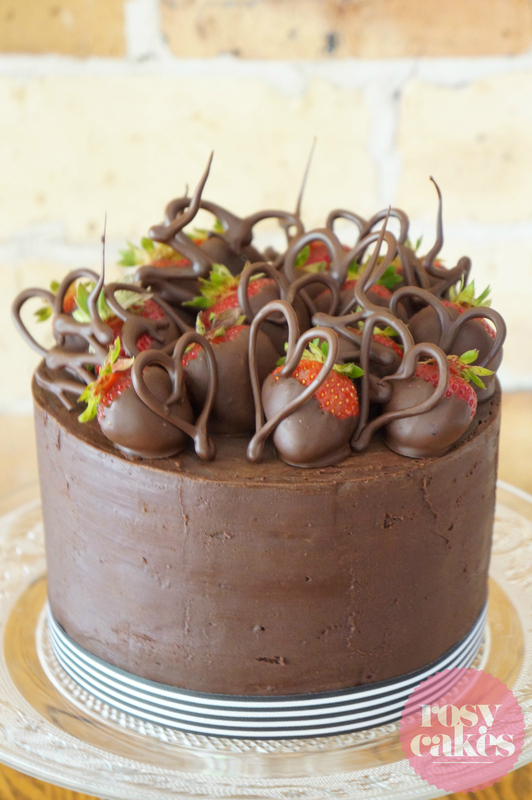 A yummy Scrummy egg and dairy free chocolate cake. 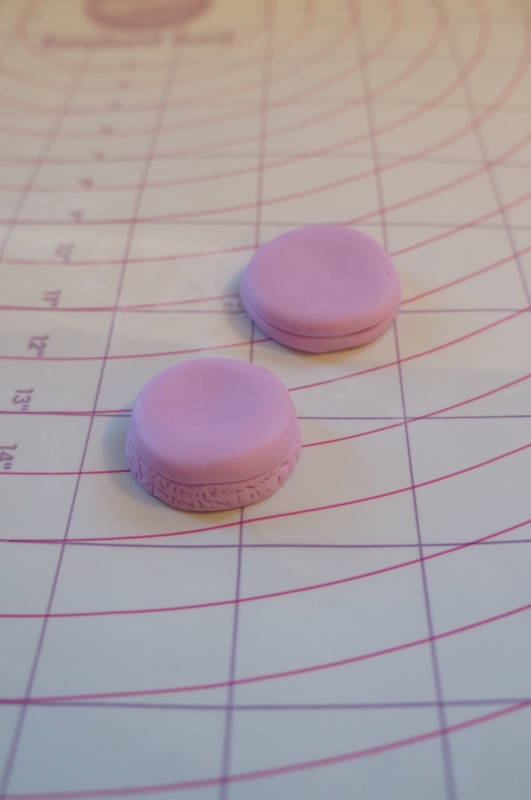 Make little marks the whole way around, now your little mac shell is starting to look pretty real. Do this to both shells. 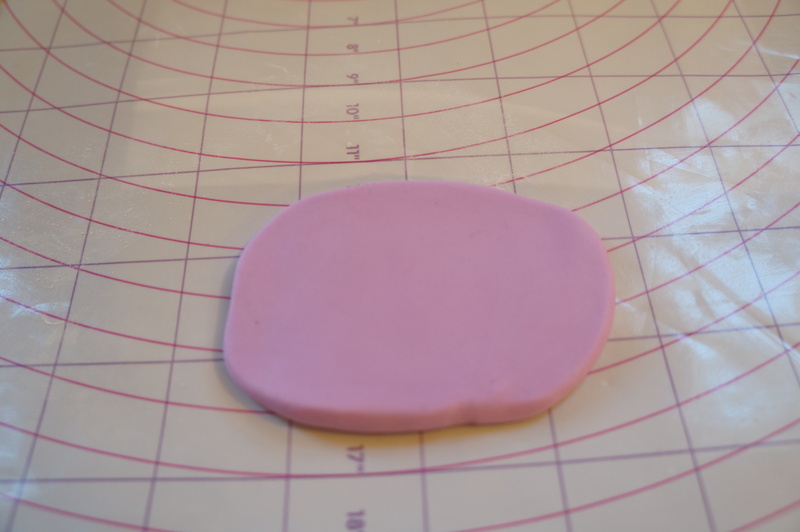 Roll out some white gumpaste, using the same circle cutter cut out the Mac “filling”, don’t use the plastic wrap method for this as we want the edges to be sharp rather than smooth. 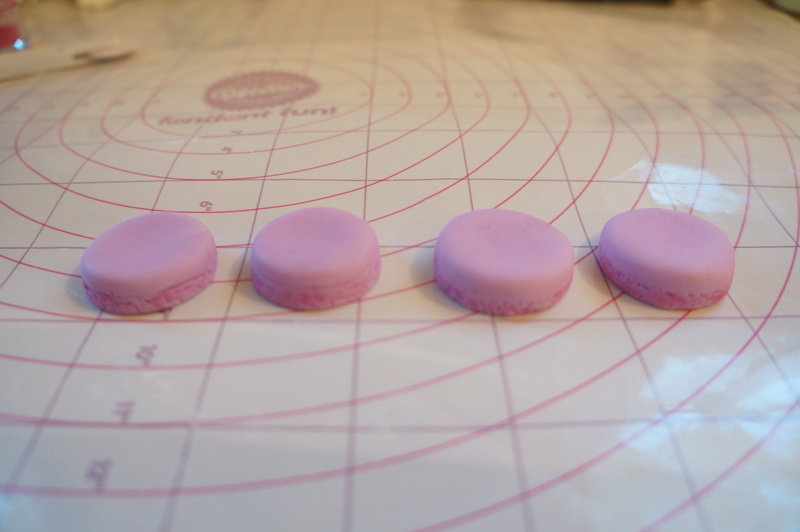 There we go, four cute little Macaron shells, patiently waiting for their filling… using a bit of edible glue, adhere two shells around the filling…note the filling may stick out a teeny bit from the shells, just use your fingers to shape the filling and the shells until they fit nice and flush, and now you have some sweet little Macs! 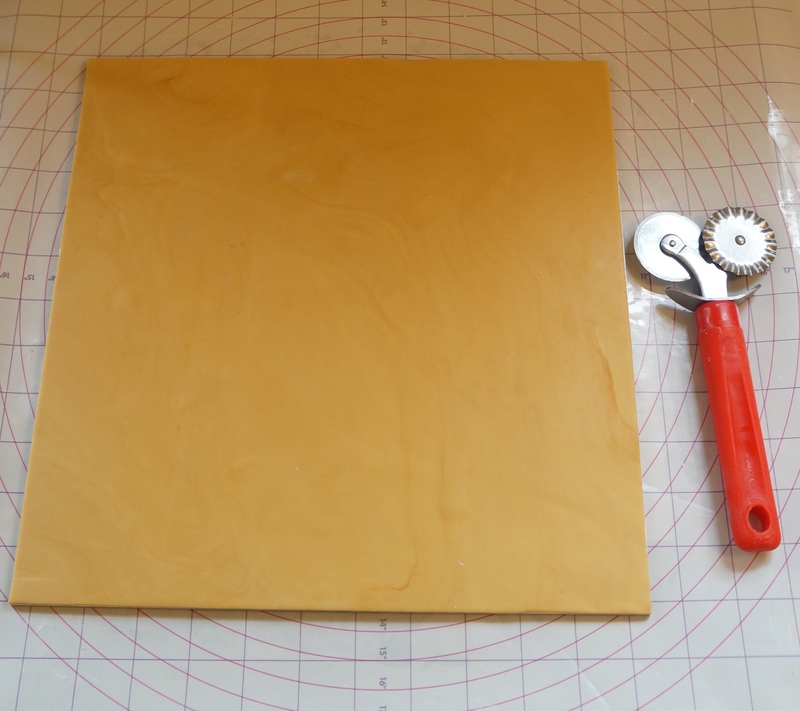 This is a short tutorial that gives some insight into how I make a simple pleated tier. 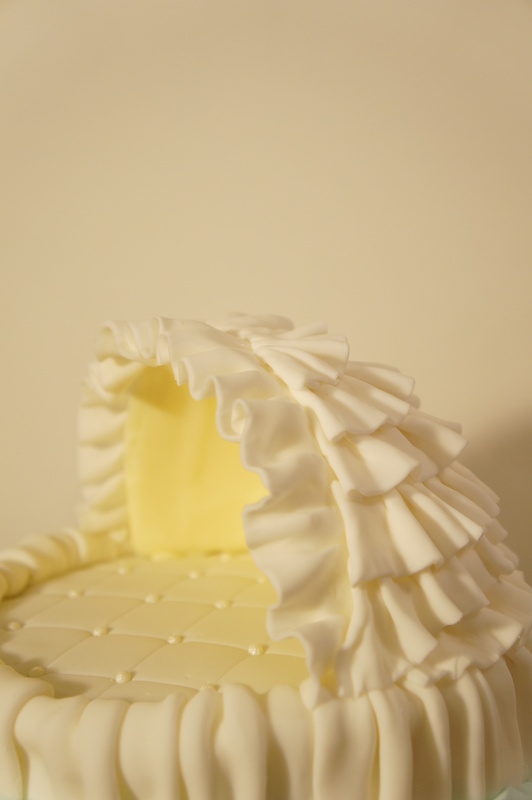 By no means am I implying that this particular pleat design was created by me, I have seen it done many times but I have also been asked a lot of questions regarding how I achieved it, in particular the folding of the pleat underneath the cake. I hope the below helps you to achieve a pleat you are happy with. 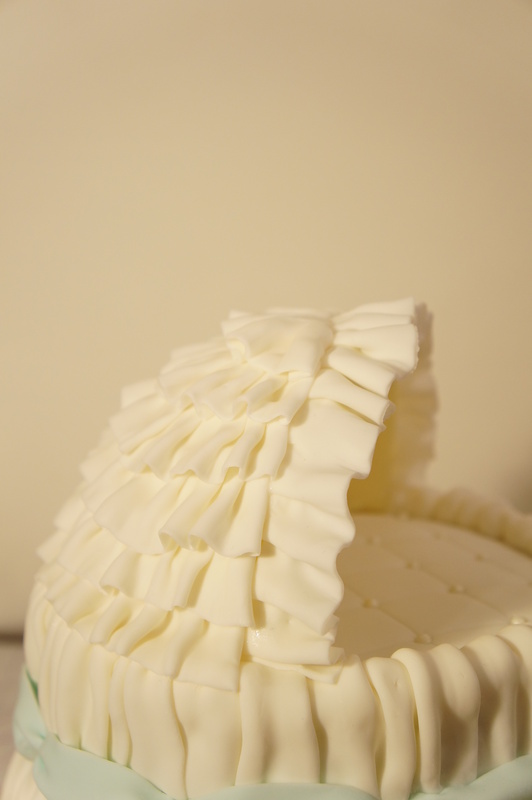 The key to creating the pleats that fold under the cake is to elevate the cake on a very sturdy bowl. 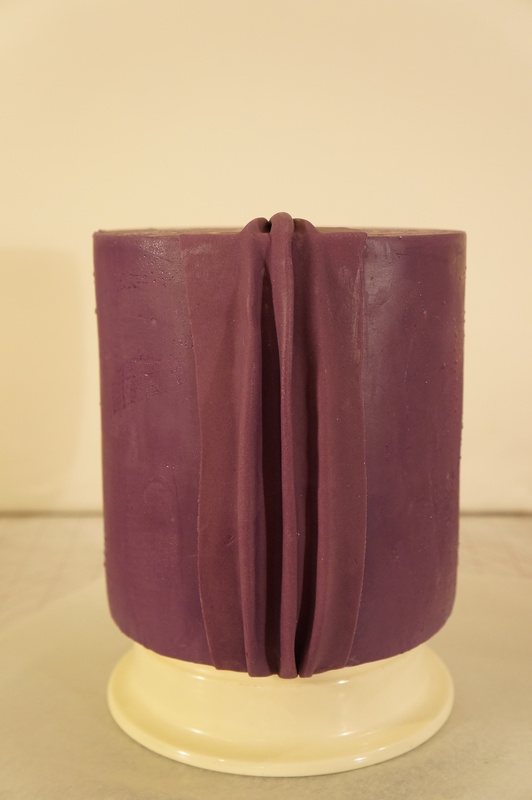 The cake remains there during the whole process and the pleats are adhered to the cake and folded under the cake base. 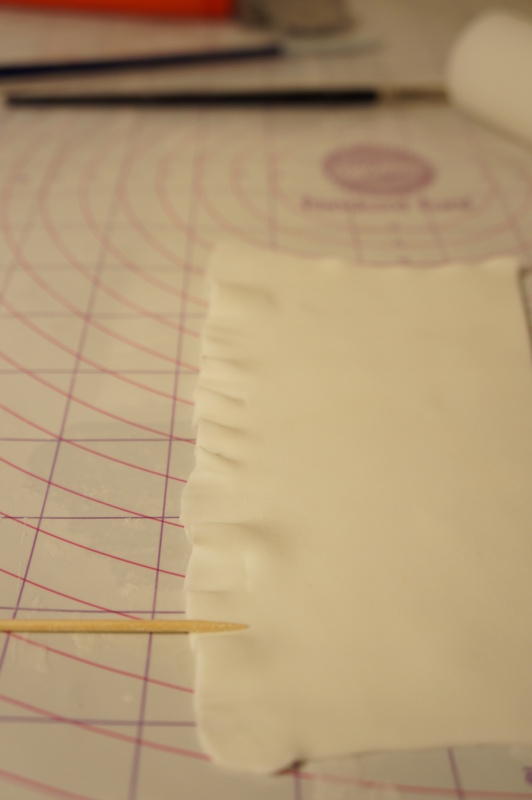 It is important that once the pleats are completed to carefully place the cake onto a cake board (or if that is not ready yet just place it onto a flat surface that is lined with baking paper. 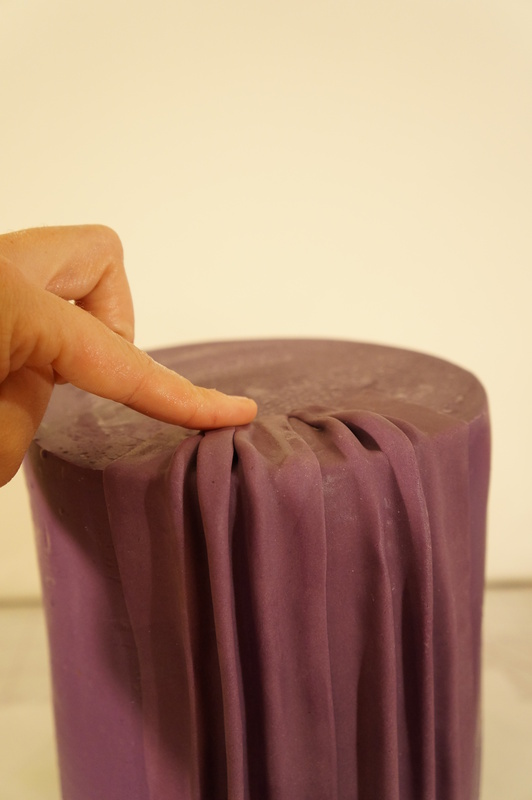 This will ensure the pleats at the bottom dry in the perfect way rather than drying while the cake is elevated and then being placed onto a flat surface, this may cause the bottom pleats to crush or break. 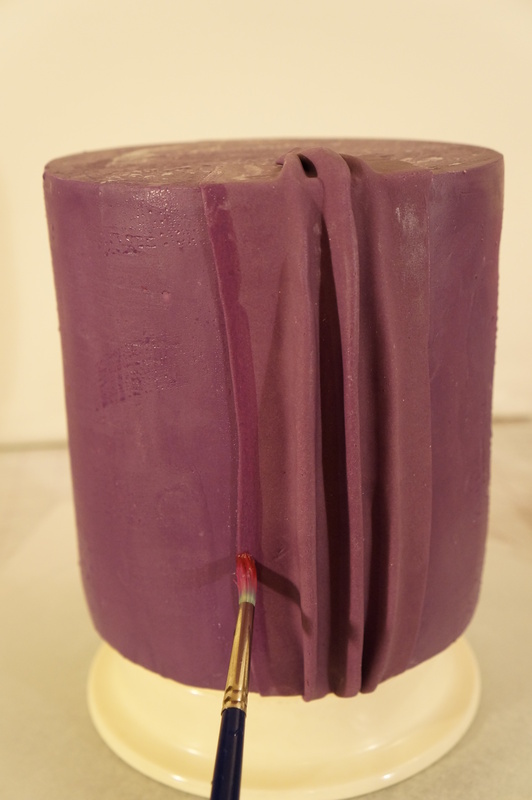 In addition, ensure pressure is applied when placing your completed cake onto a cake board or lower tier and use a level to make sure the cake is sitting flush, so that the pleats don’t cause the cake to be lop-sided. 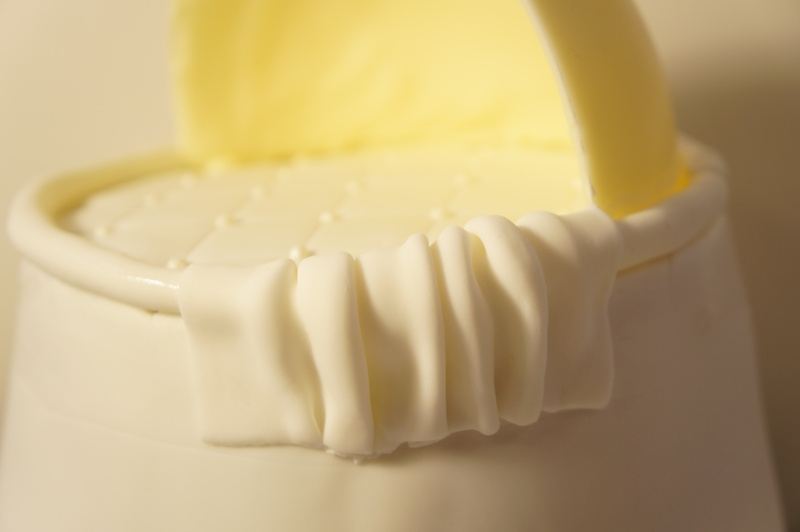 Brush entire cake with edible glue, shortening or water. 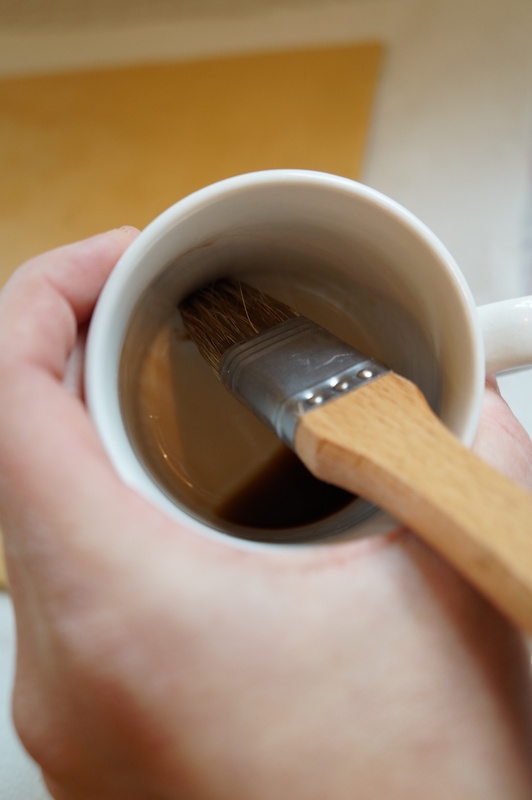 If it dries while your working you may need to reapply. 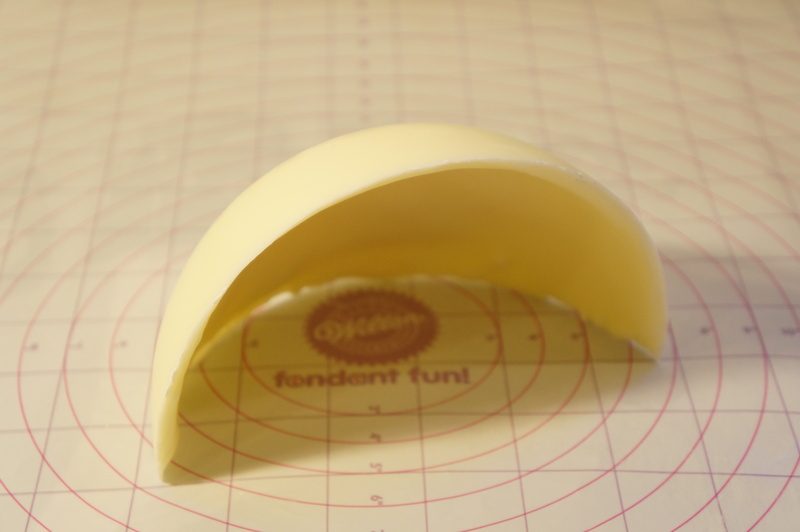 Roll out a very thing piece of fondant. 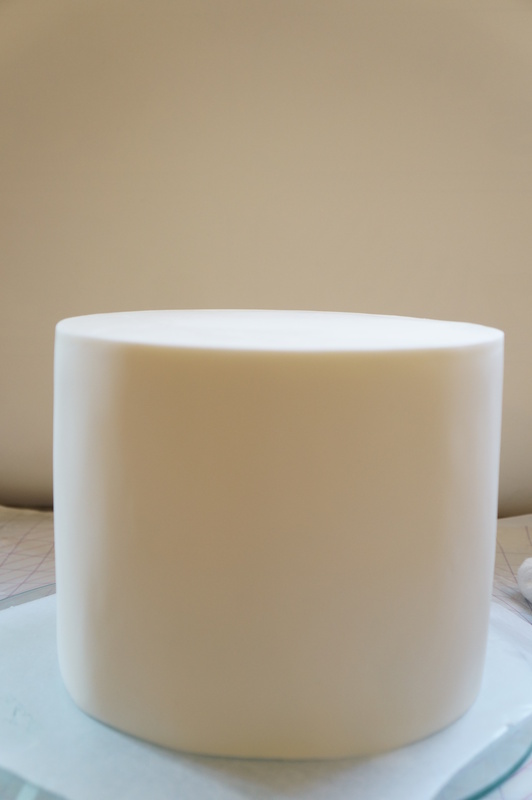 Measure the height of your cake and add a few cm’s to the length. 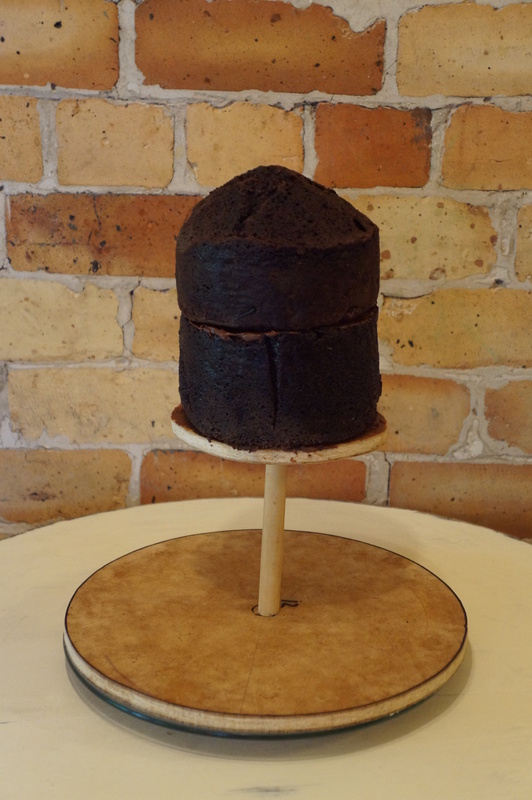 Enough to fold over the top of the cake and enough for a wee bit to fold underneath. 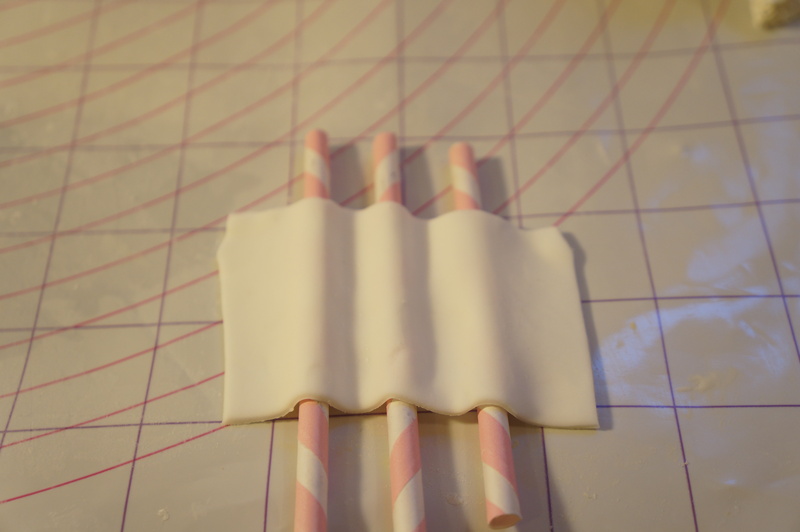 Lay fondant over 3 paper straws (Dowels or skewers also work). 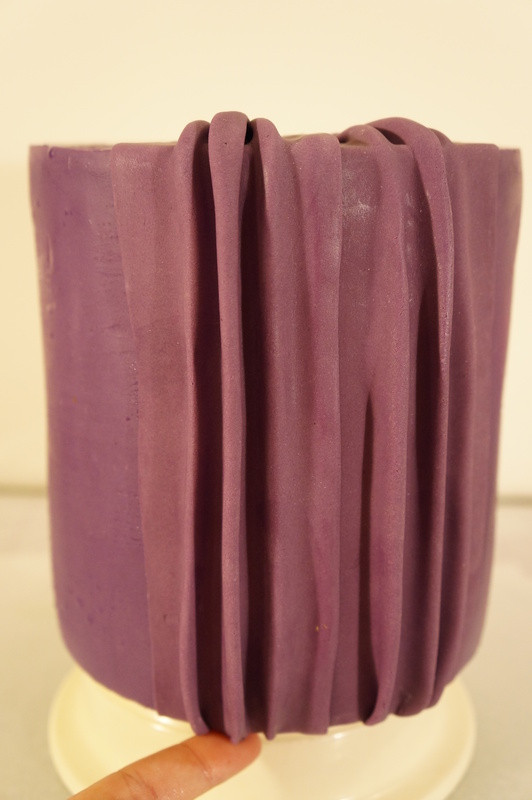 Use your fingers to smooth over the straws and create grooves in between the straws. 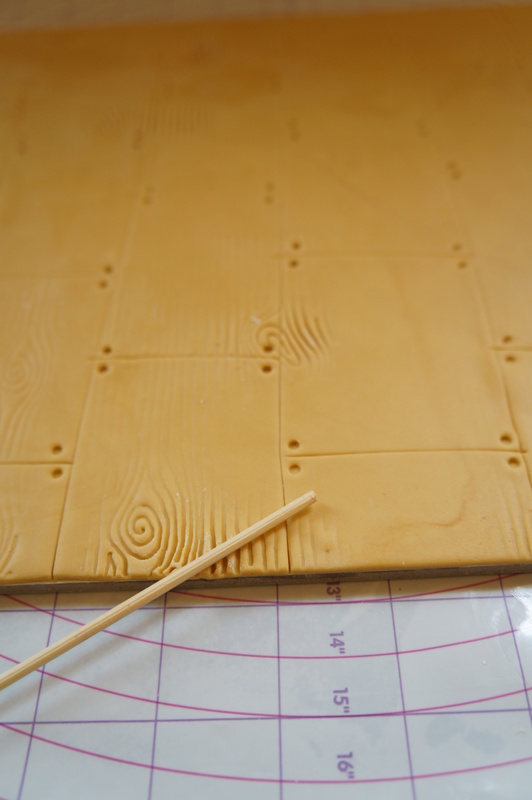 Pinch the tops of the straws together at the top, this is creating the pleats. Remove the straws, then gather the opposite ends together as pictured. 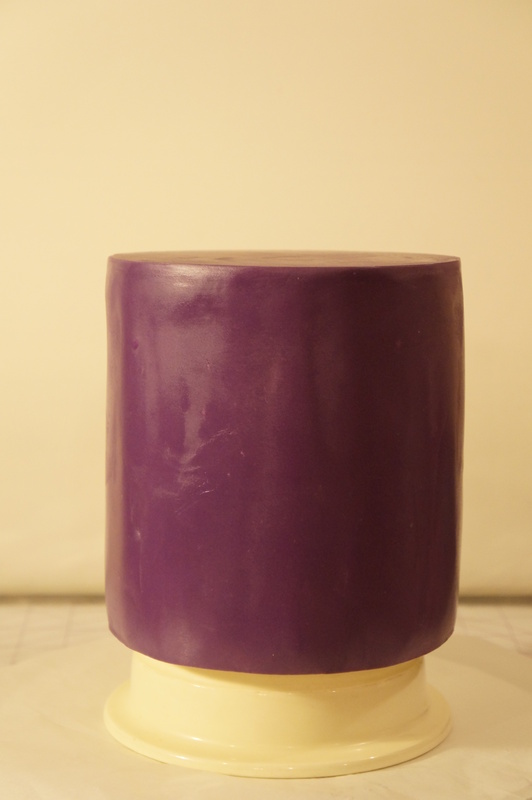 Using the guideline marked the top of the cake, adhere the first pleat to the top of the cake. 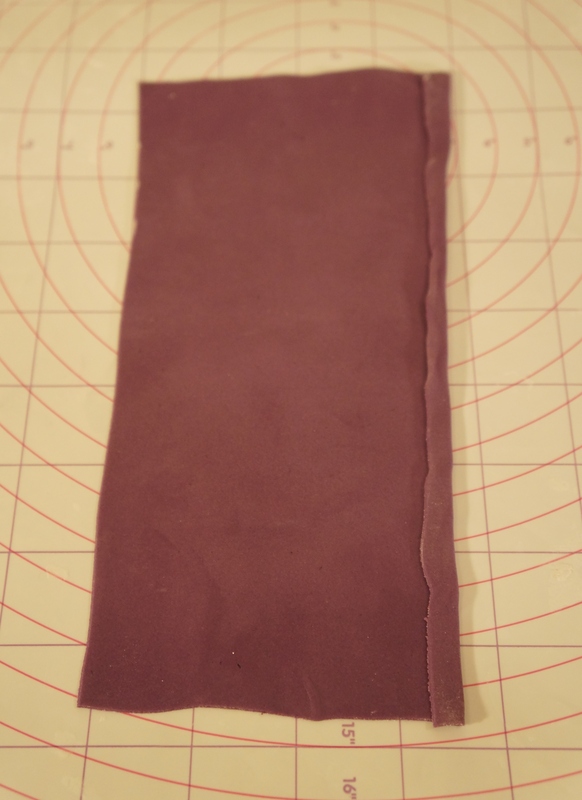 Trim the bottom of the pleat so it over hangs a little bit. 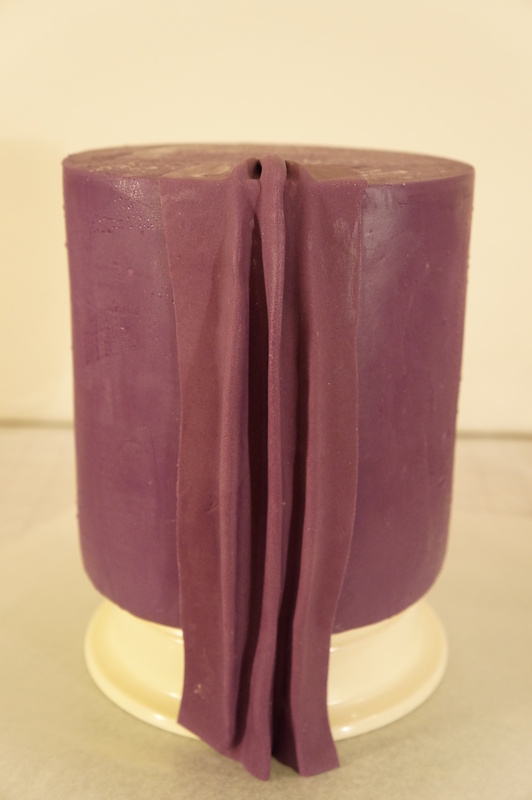 Fold the pleat under the cake and apply pressure to the cake base. 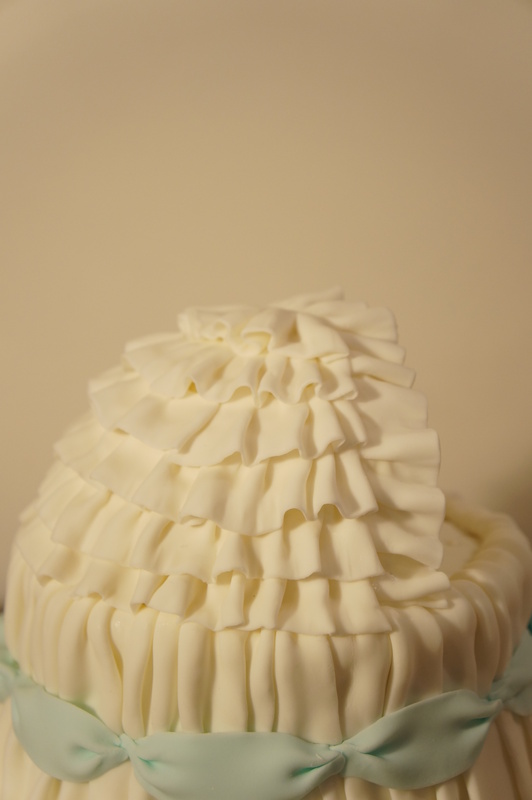 Every pleat will be different but it will now resemble something like this. 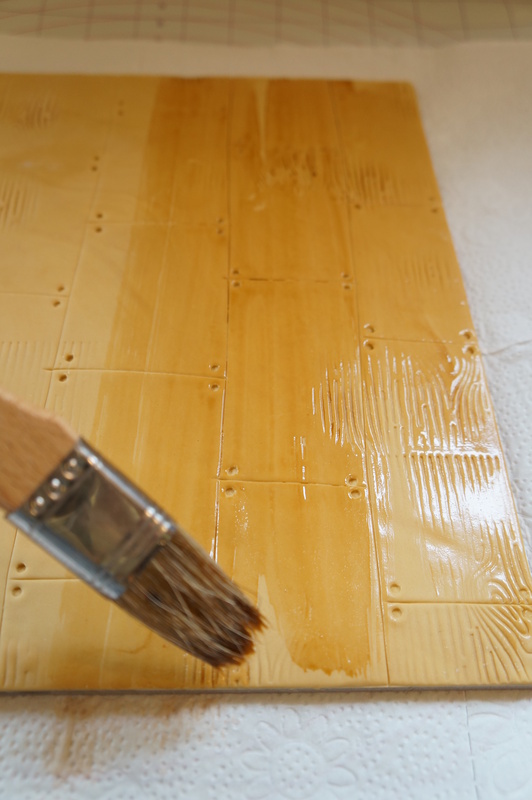 Apply a small amount of edible glue or water to the seam where the next pleat will overlap. 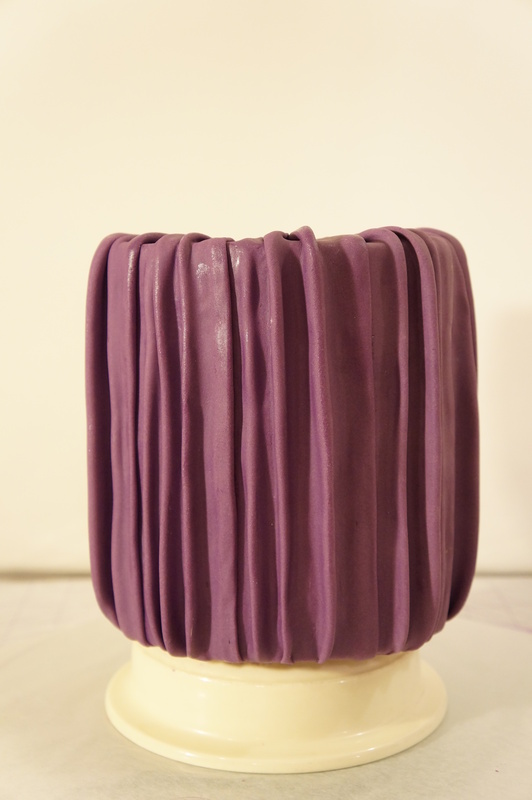 All of the following pleats are created in the same fashion as the first one. The only difference is that they a small “hem” is created on the edge that will over lap the prior pleat. 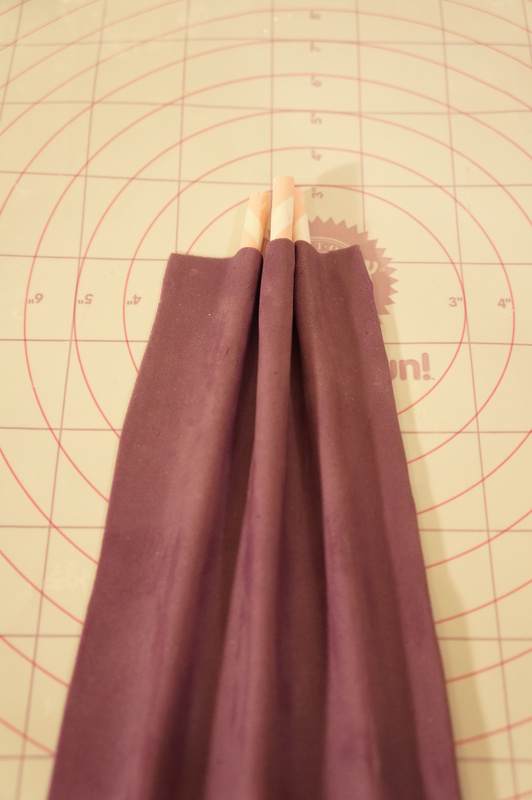 Turn the “hemmed” side over, lay over the straws and create the pleat. Adhere the next pleat. 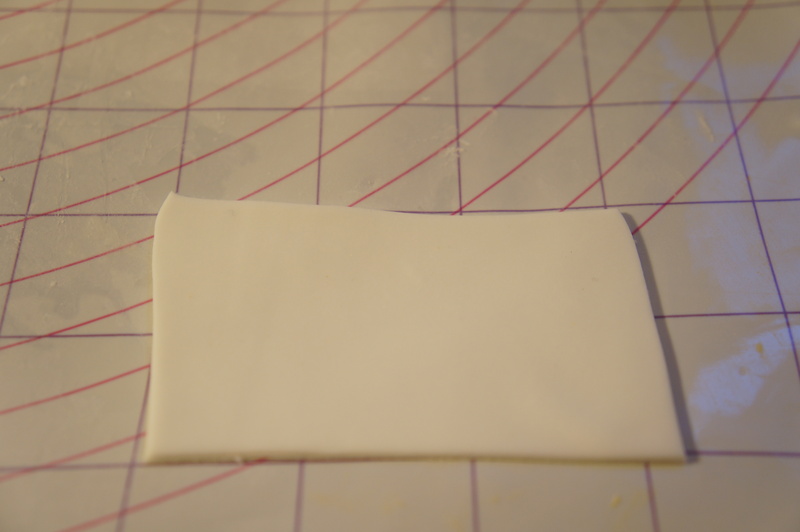 See how I am applying pressure to the top of the pleat, almost squishing it down where it meets the guideline. 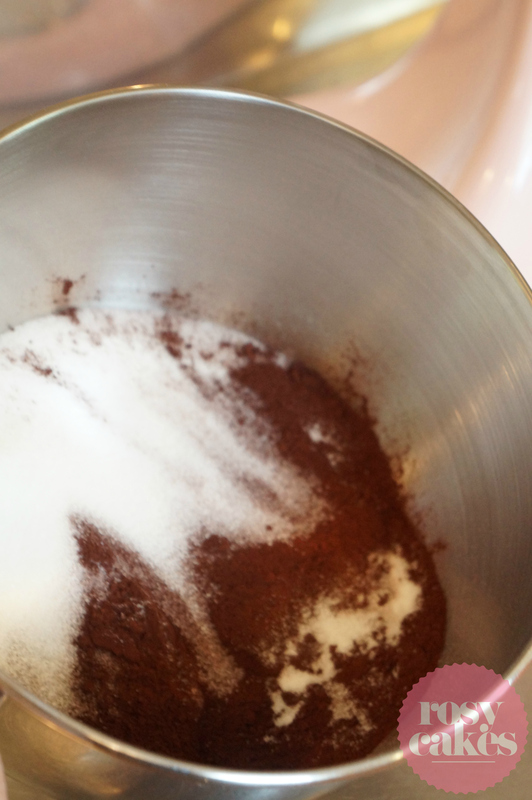 Do the same at the base of the cake. 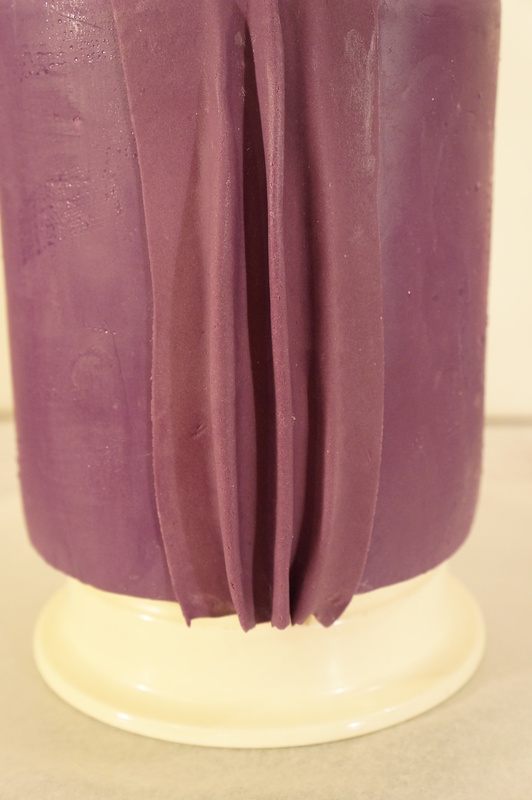 Continue making pleats the whole way around the cake until it reaches the first pleat. 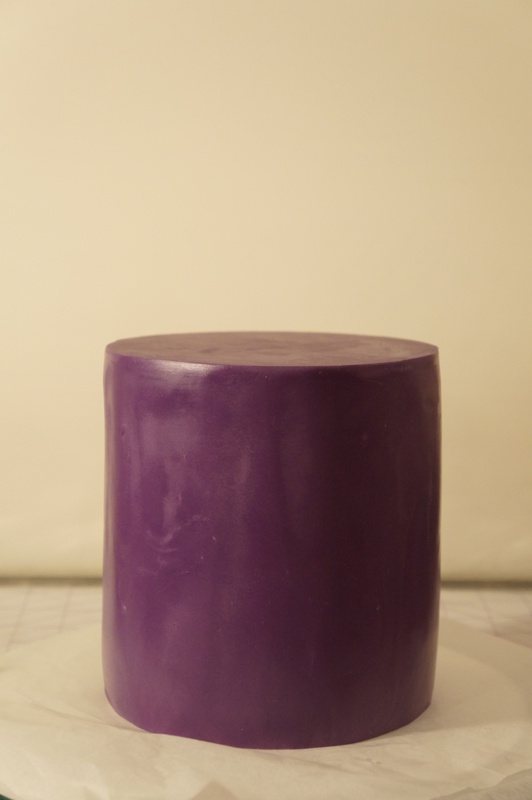 Start with a blank canvas, a plain fondant covered cake. 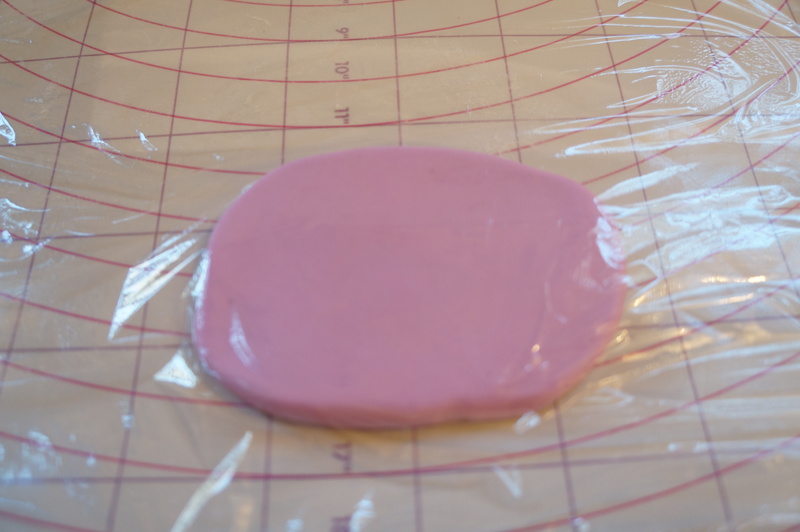 Allow a decent drying time so that your fondant is relatively hard, I let this dry for 24 hours. 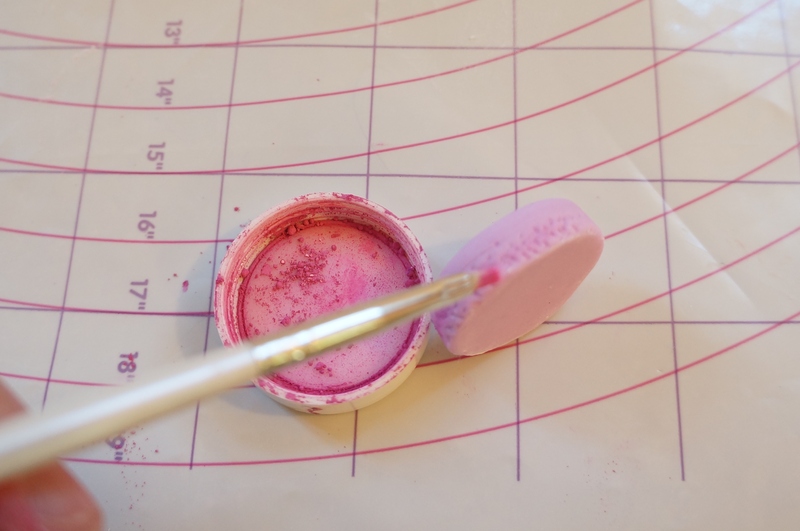 You will also need a good amount of time to allow the paint to dry once it is completed, this will depend on different circumstances such as your climate and how thick you have painted. 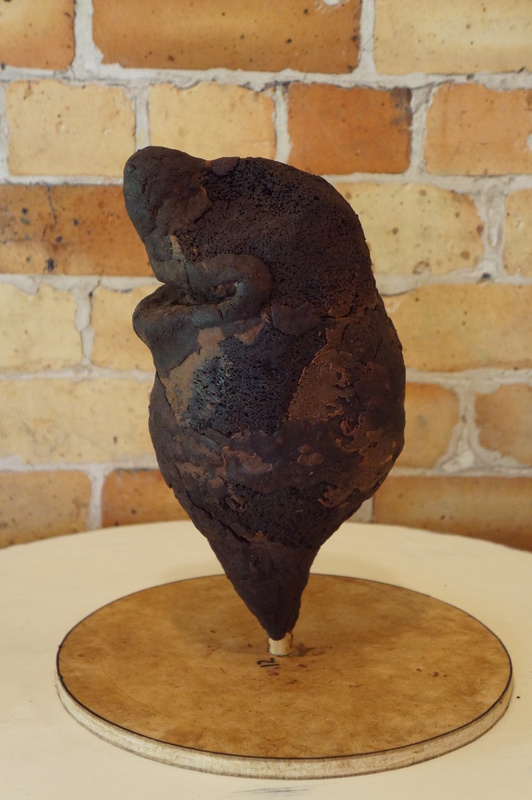 This cake was left for another 24 hours near a dehumidifier and was perfectly dry by the next day. 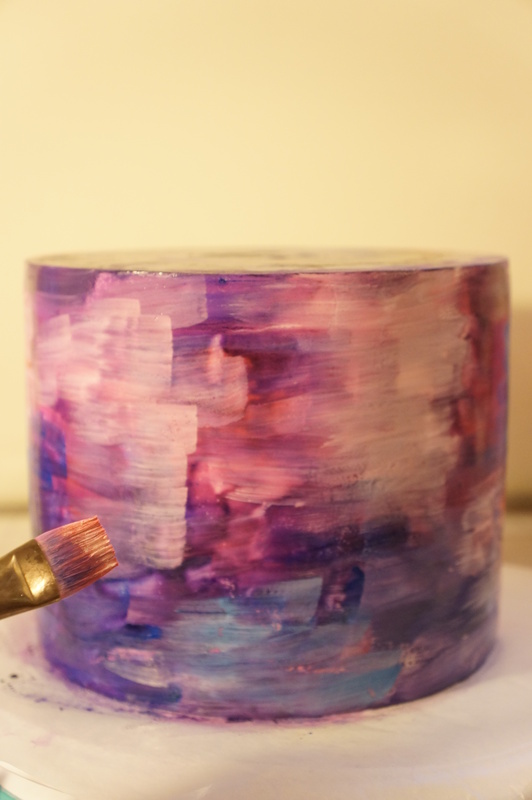 I had applied quite a generous layer of paint to the cake. 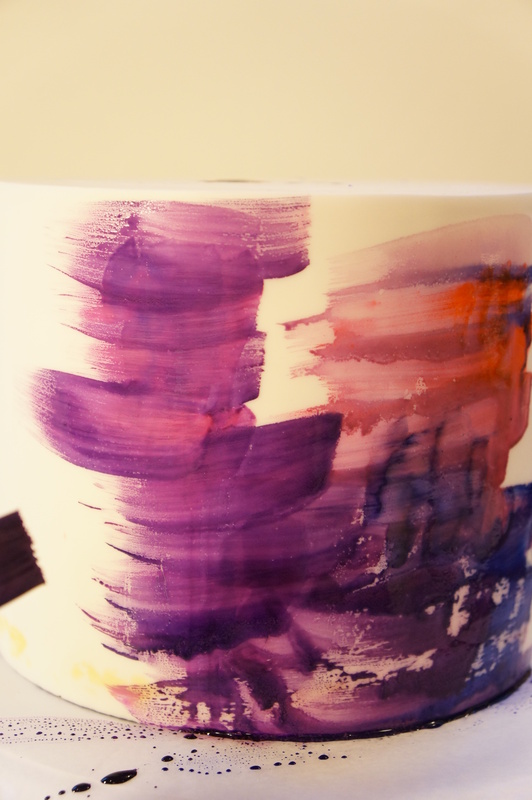 Here are the colours I chose for my design. 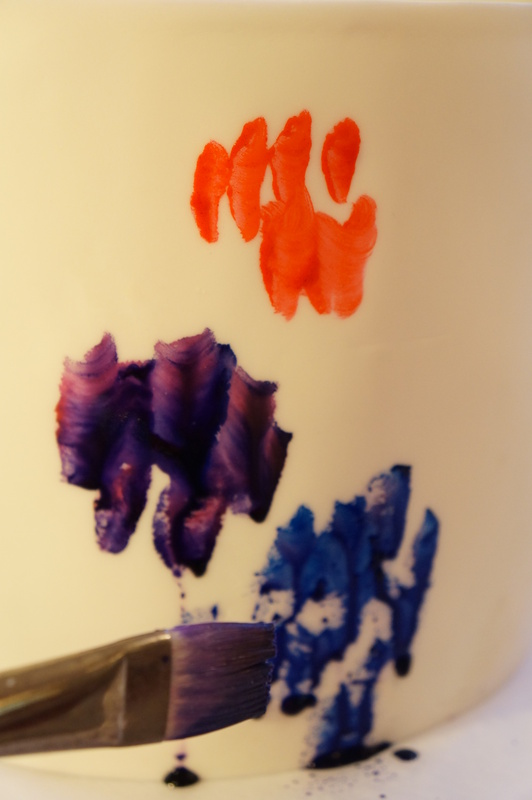 A mixture of gel colours and petal dusts that I have watered down with Vodka. 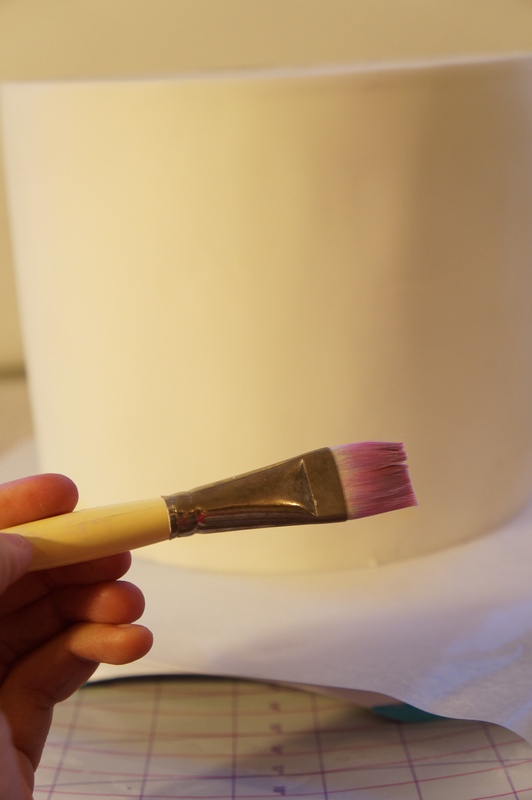 This is the brush I used, you could use wider or thinner brushes to achieve different styles. 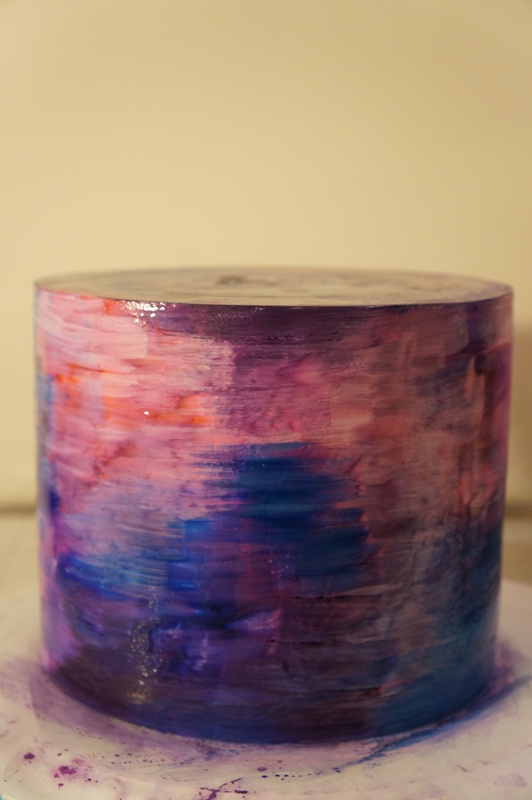 I started by dabbing different colours onto different sections of the cake, I did this just to get an idea of what they would look like and to ensure I liked the colours I was working with. 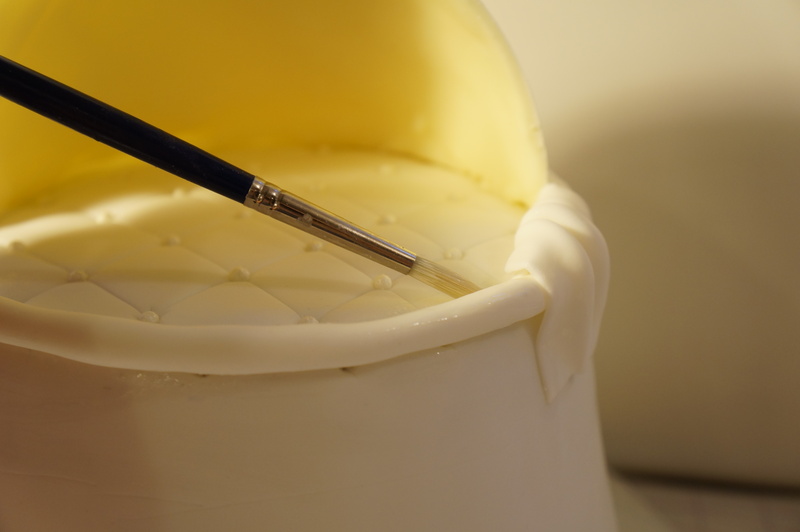 You could skip this step, or you could do this on a separate piece of fondant if you don’t want to do it straight onto your cake. 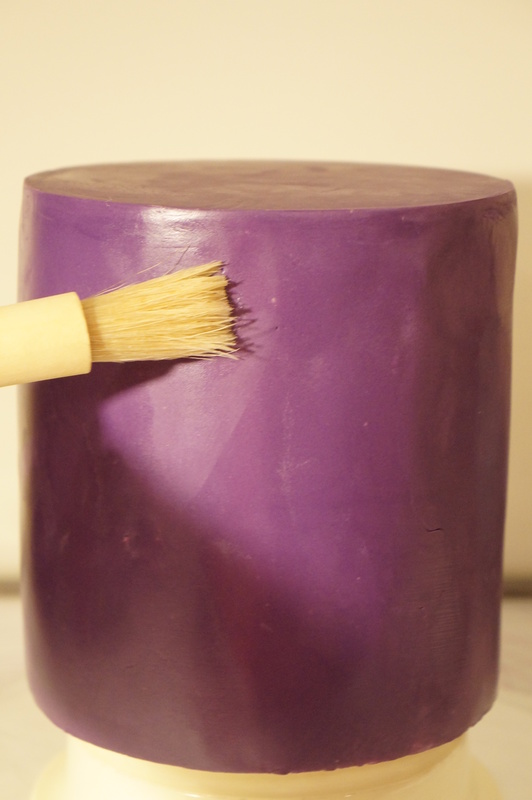 Have a glass of water on hand to rinse your brush in between colours, and a paper towel to wipe your bush on. 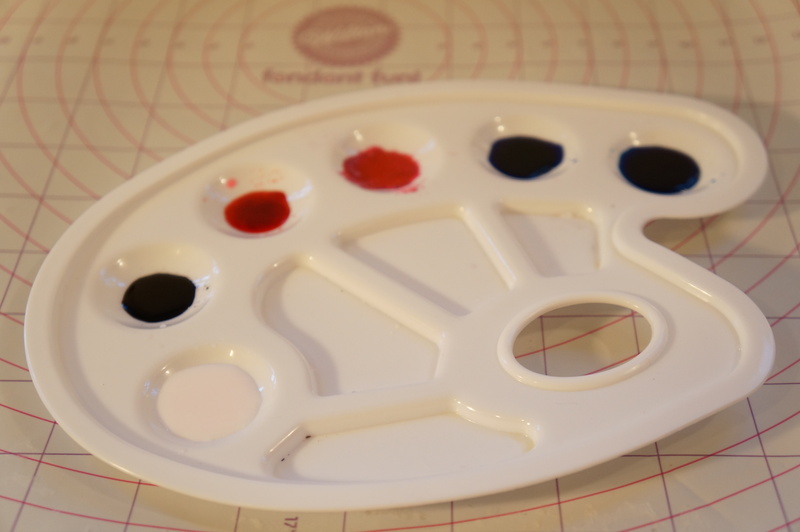 Otherwise you could use a different brush for each colour, personally I love how some of the colours mix a bit on the one brush. 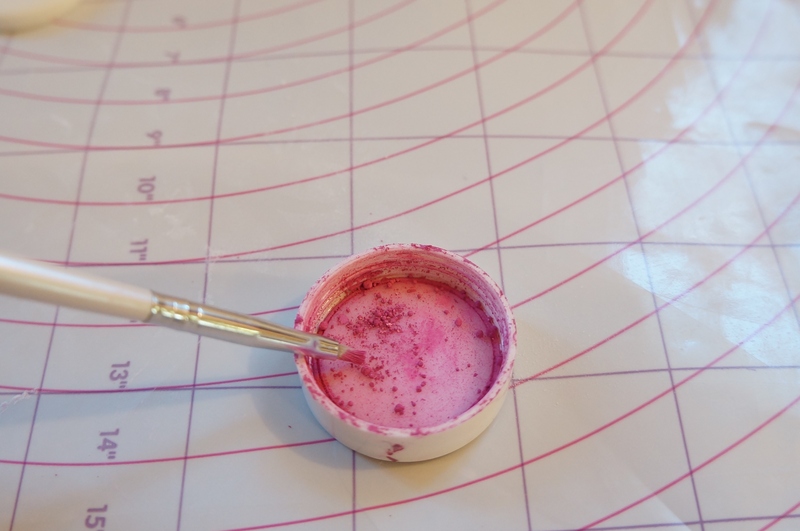 Applying more gel to the brush I started to use big strokes to apply more colour to the cake. 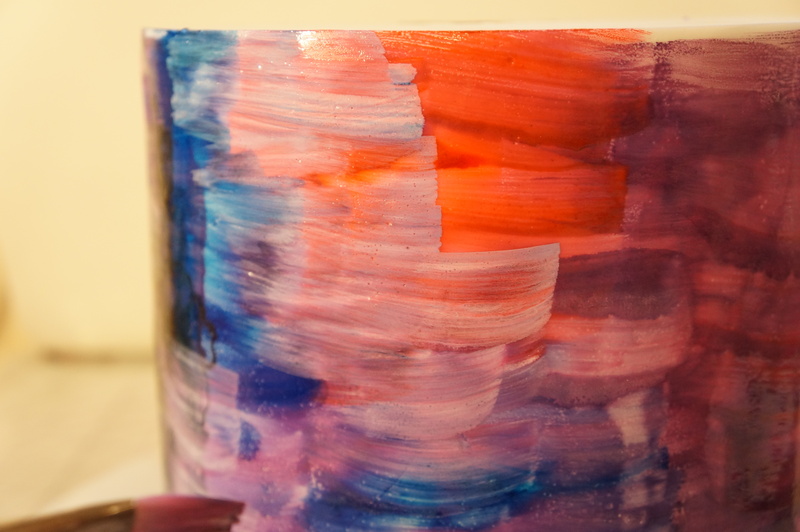 This is where I started painting on a lighter shade, using my brush and white gel (mixed with vodka) I painted over random parts where I thought it would look good to have a lighter section. 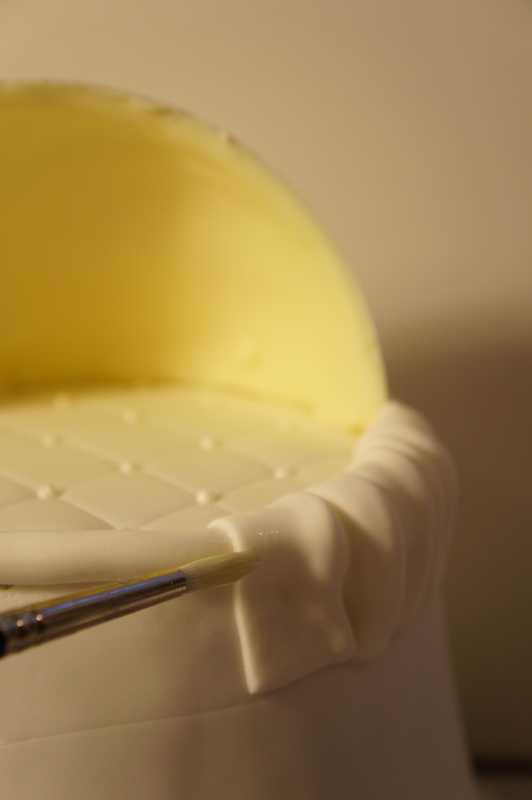 Once the entire side was covered in colour I then just rotated the cake, painting lighter patches here and there…. 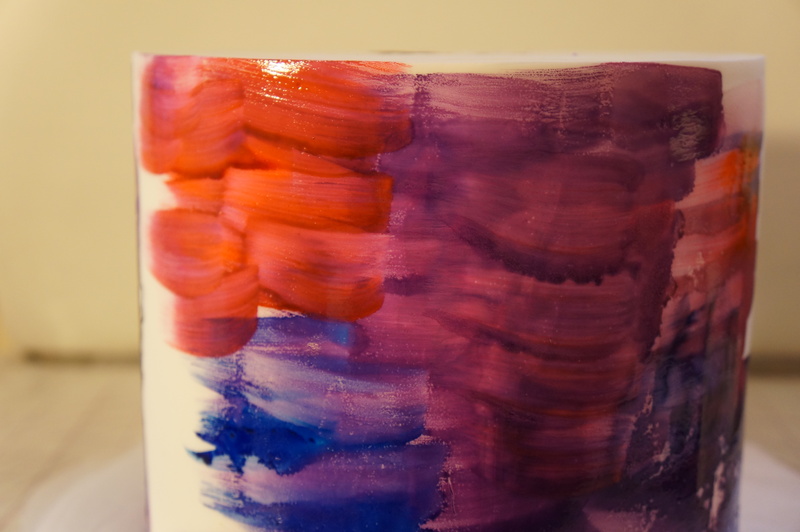 Just painting, getting lost in my happy place…..
Not knowing where to stop, but having too much fun…. 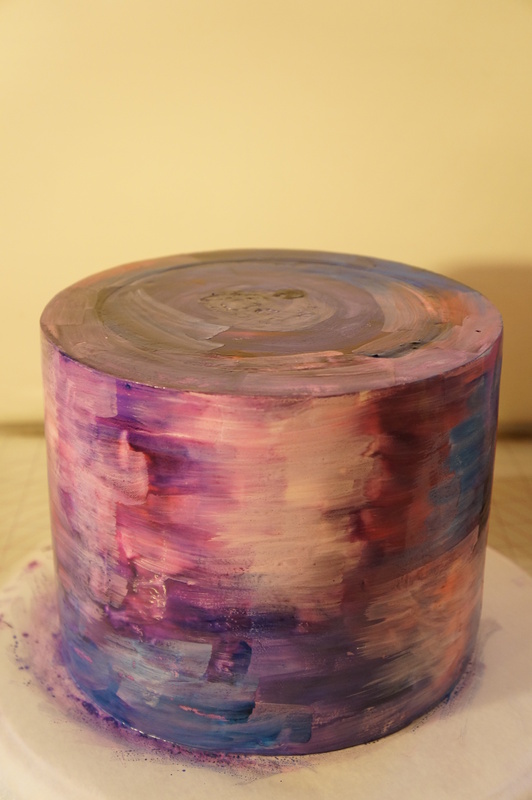 Then in a large circular motion, I painted the top of the cake. 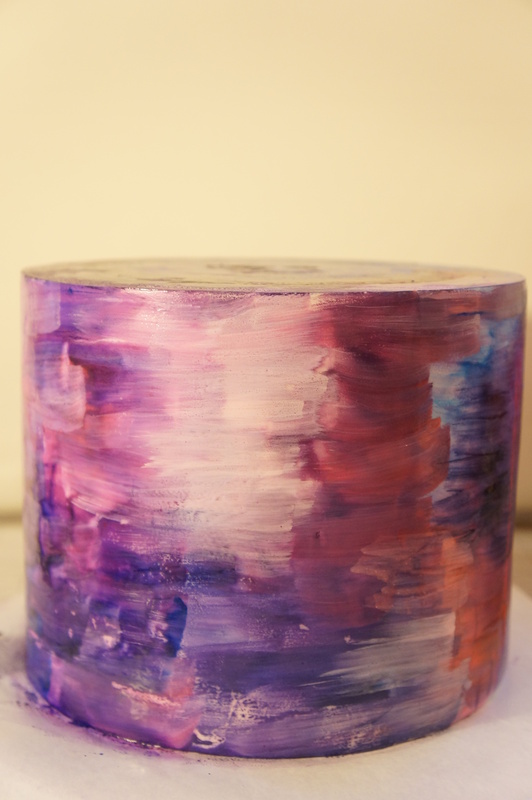 And…went back and added some more blue… I could have kept going but had to stop myself before the cake got too wet and the moisture started to melt the fondant AND before I painted too much that it all become one brown blur. 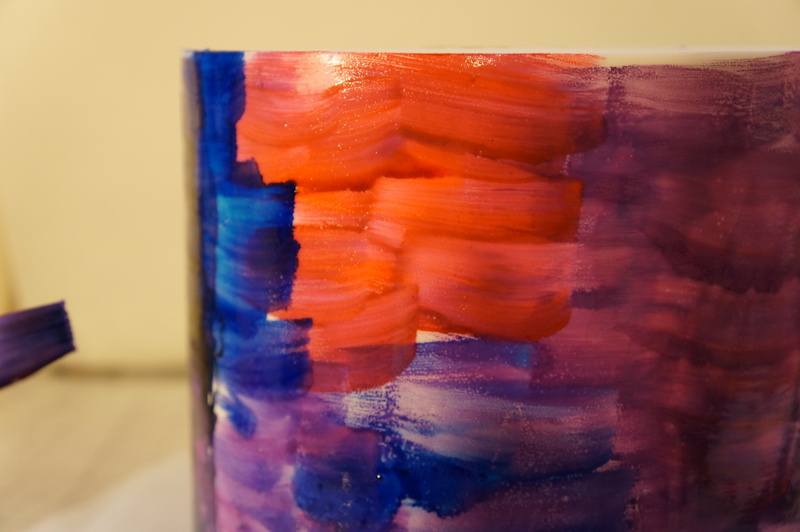 By this stage I was really happy with how it was looking, so I put it aside to dry. 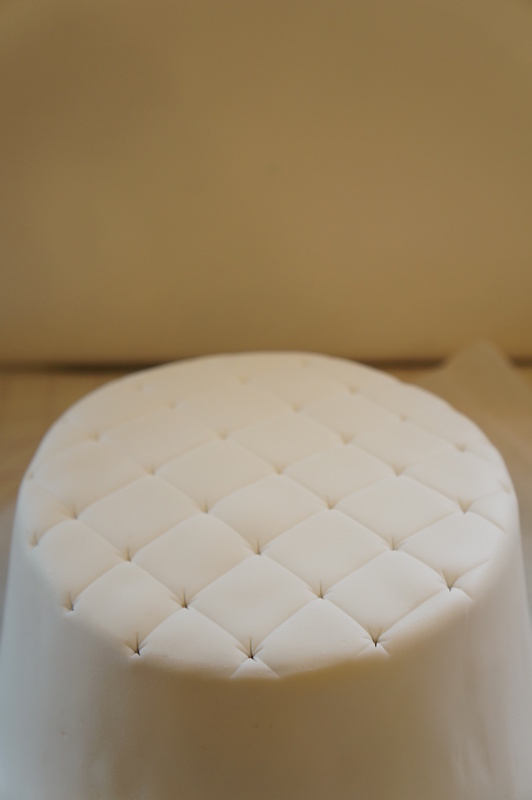 The same process was used to create the smaller top tier of my cake deign. 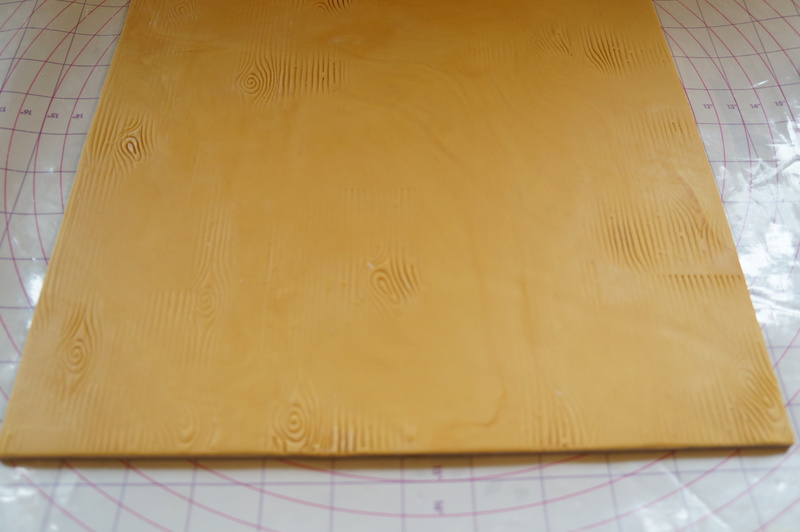 This is a really quick tutorial showing how I made the wood grain effect on this cake board. 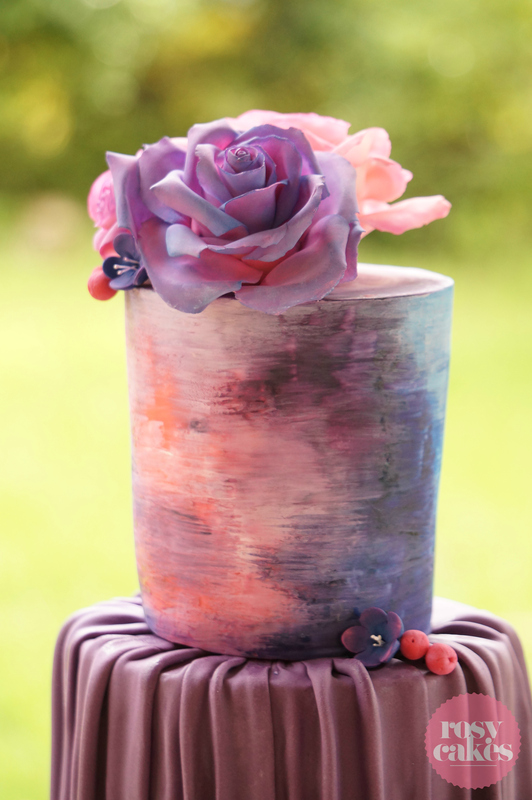 Colour enough fondant to cover your cake board. 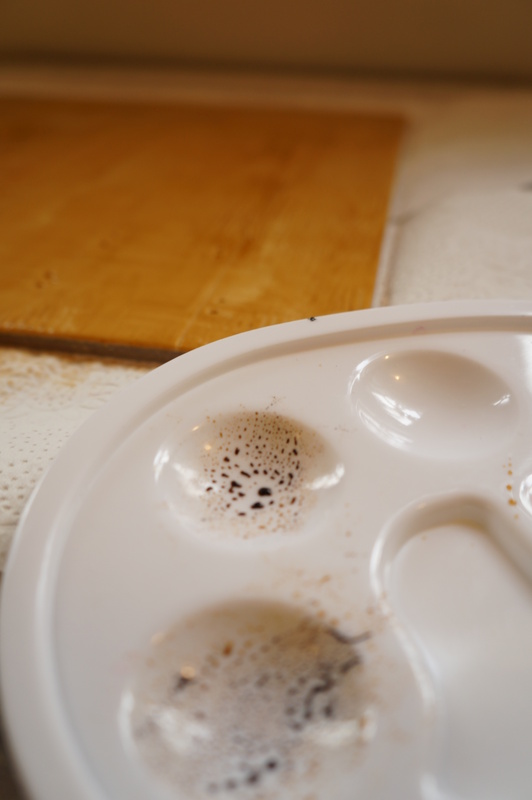 I wanted a light shade of wood so I used yellow with just little bit of brown. 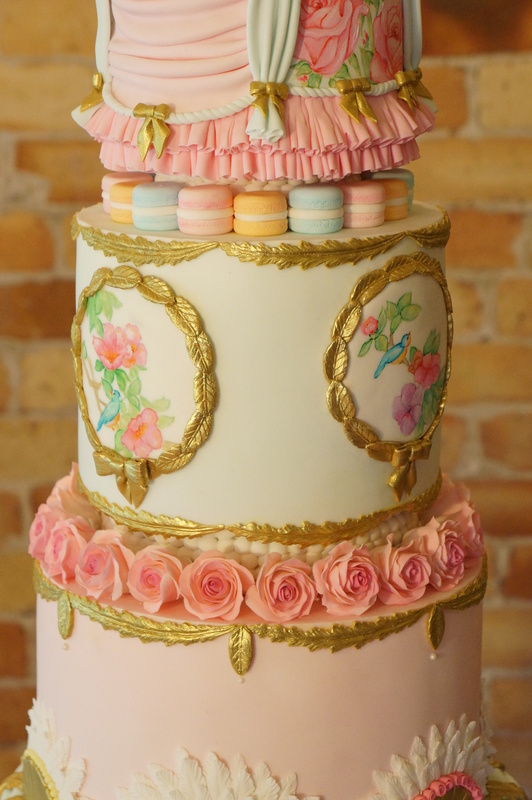 I also did not completey work all the colour through, only partially so there are natural “wood-like” streaks in the fondant. 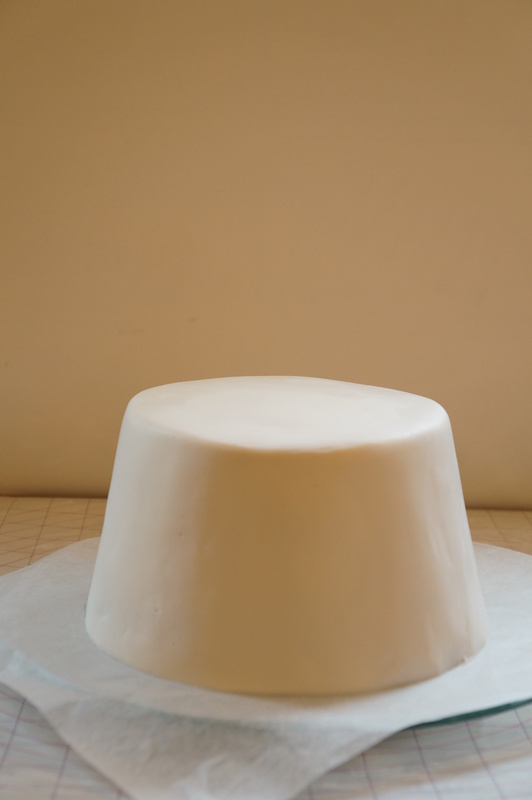 Roll out fondant so its large enough to cover your cake board. 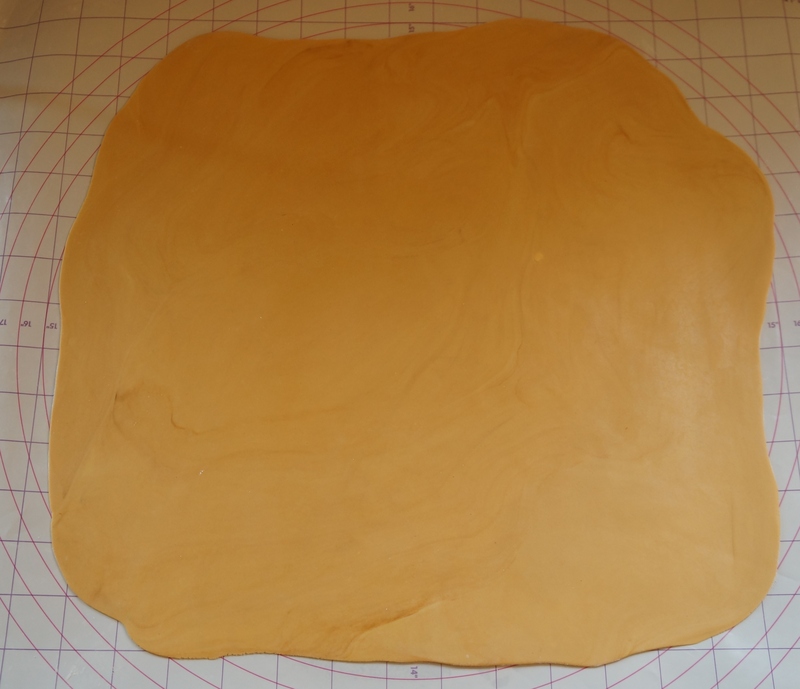 Cover cake board with the fondant (I used edible glue). 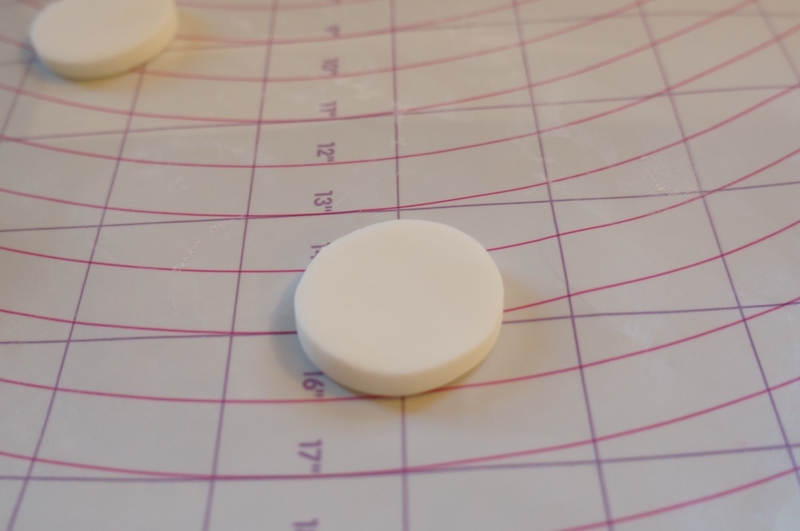 Trim edges so they are lovely and tidy. 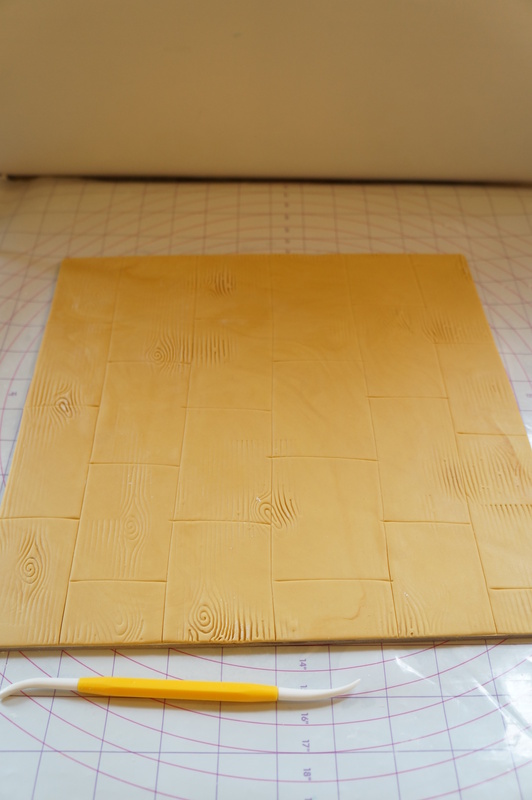 I have a wee wooden impression mat, I used it make random impressions all over the fondant. 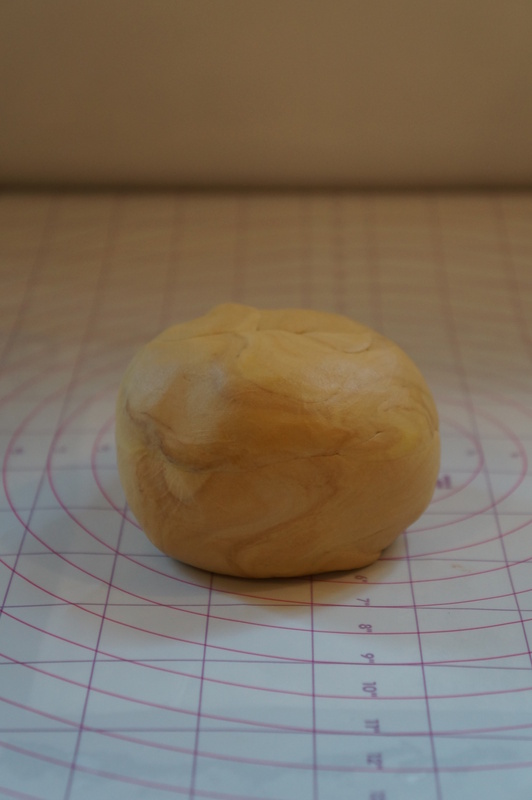 You may have a large one or if you don’t have one just use a Dresdon tool (or a knife or skewer) to make your own “wood-like” markings and impressions. 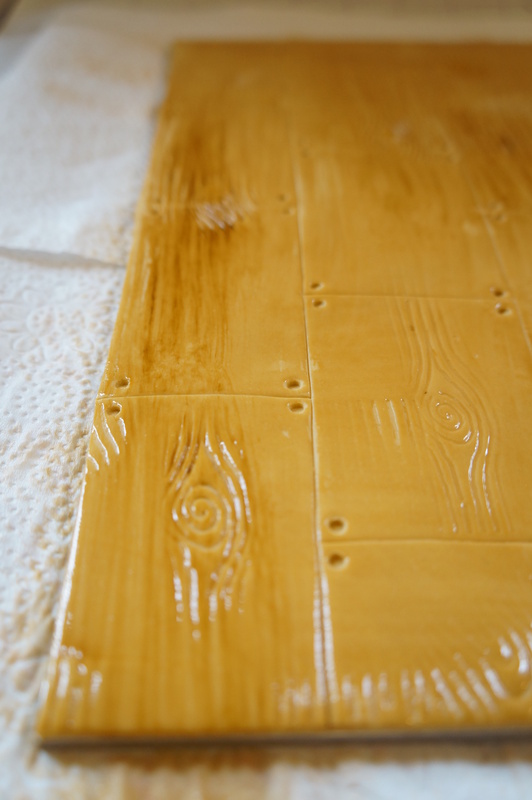 I put an emphasis around the edge of the board as the centre is going to be covered in cake. 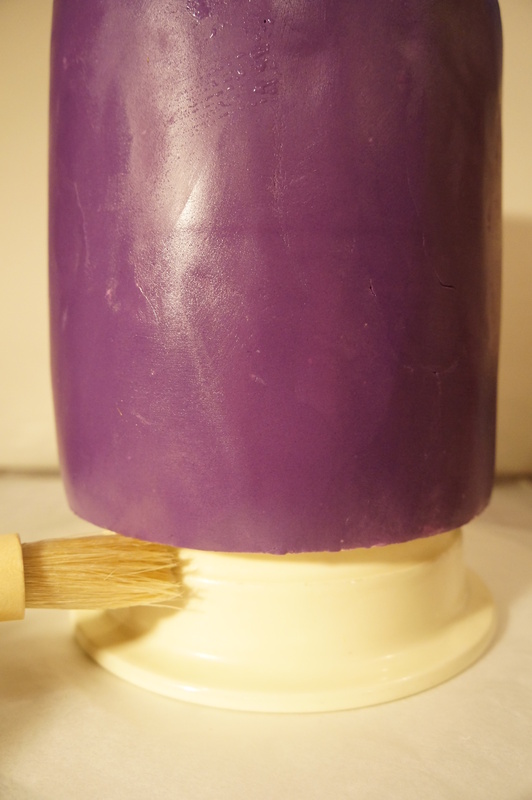 Mix brown gel colour with a wee bit of vodka to make a stain, using a pastry brush to paint the stain onto the fondant. Taaa-daaa! 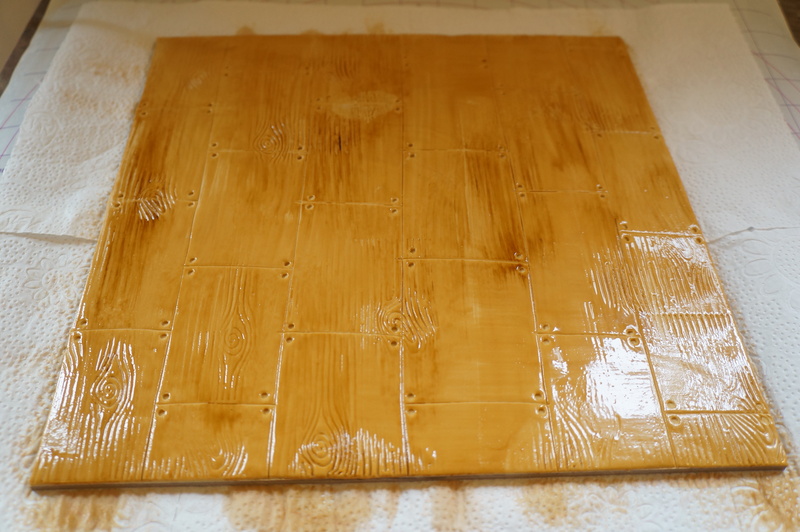 A beautiful wood grain board, just let it dry then you can place your cake on it! 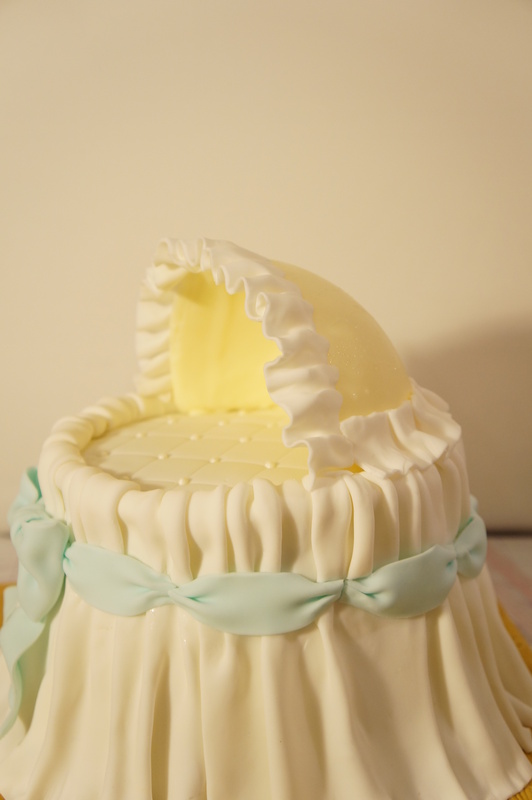 Start off by creating the Bassinet hood. 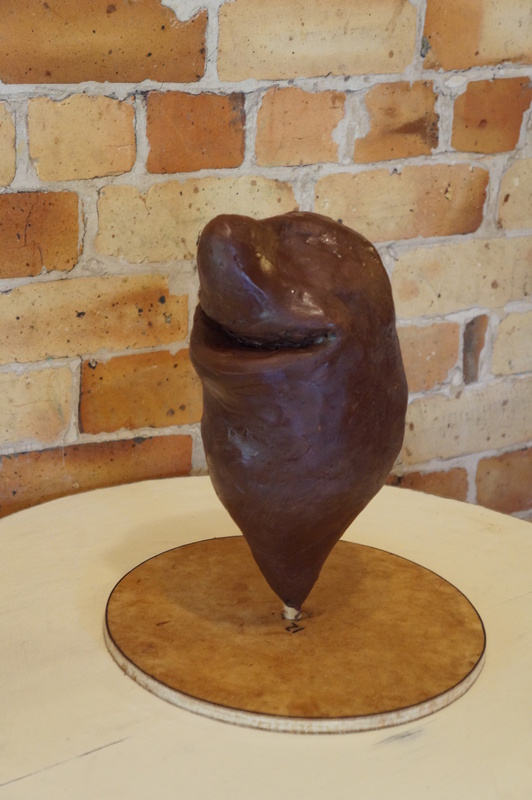 This can be done a few ways, last time I made it out of gum paste, but this time I decided to make it out of solid chocolate, its stronger and yummier too! 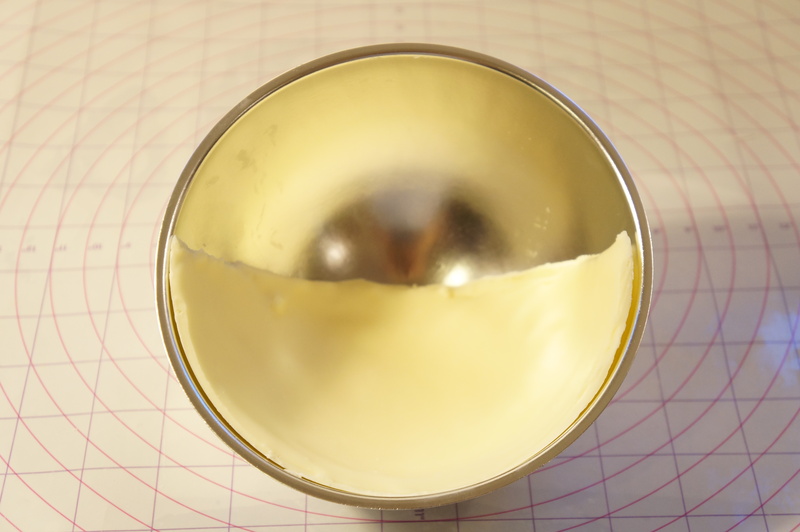 Using a bowl or a ball pan, coat a very thick layer of melted chocolate to half of the pan, place in fridge to set. 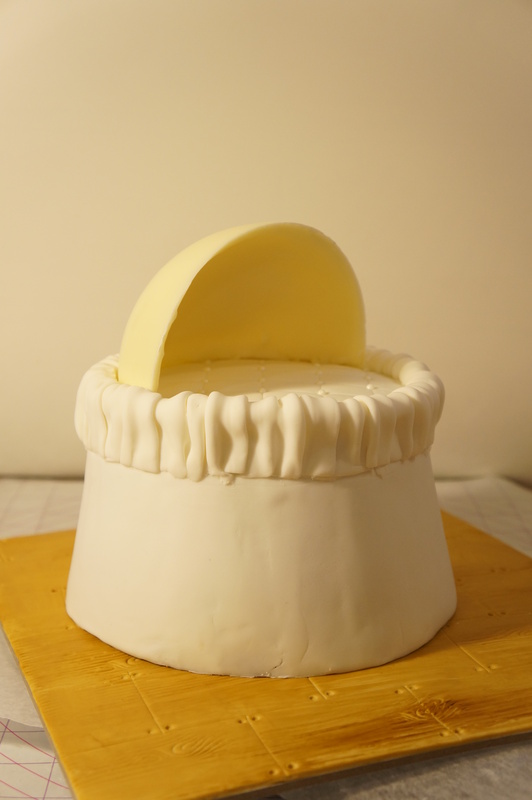 Its important to take note of the size of the bowl or pan to ensure the hood is going to sit within the size of your actual cake when its placed on top. 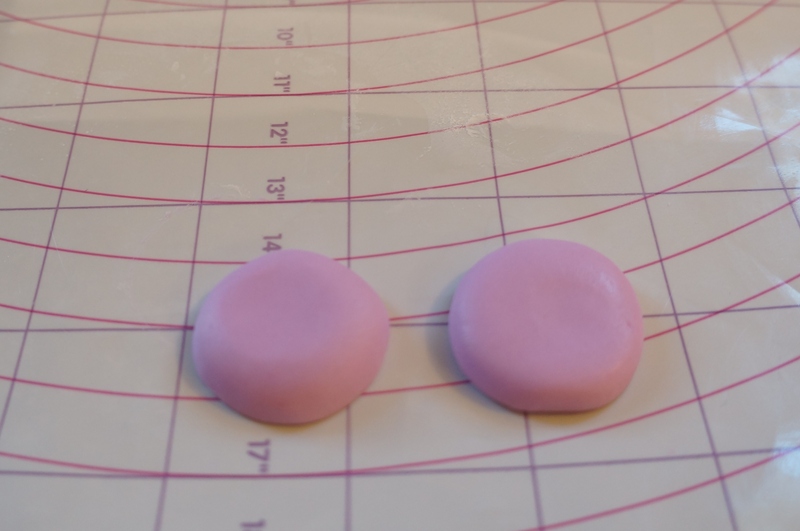 Make sure the centre line is very straight, this is the part that sits on the cake and you want it to be flush. I used a knife when it was semi-set. 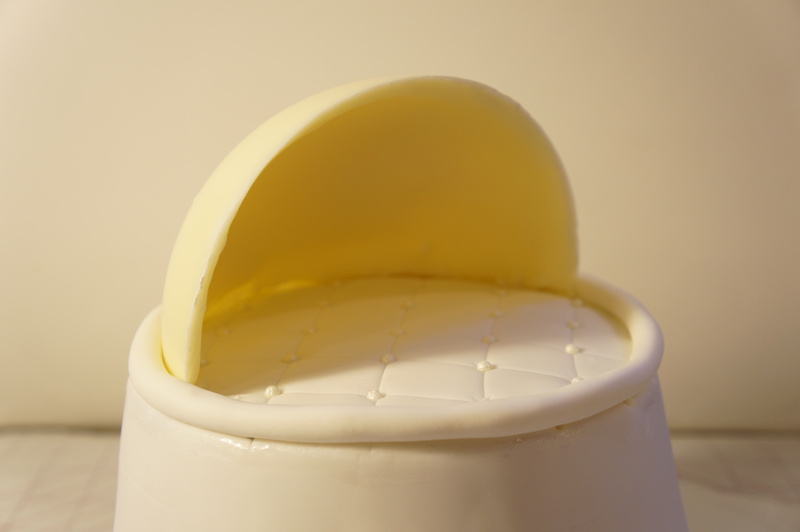 Once its set, pop it out and you have a perfect little base for your Bassinet hood. 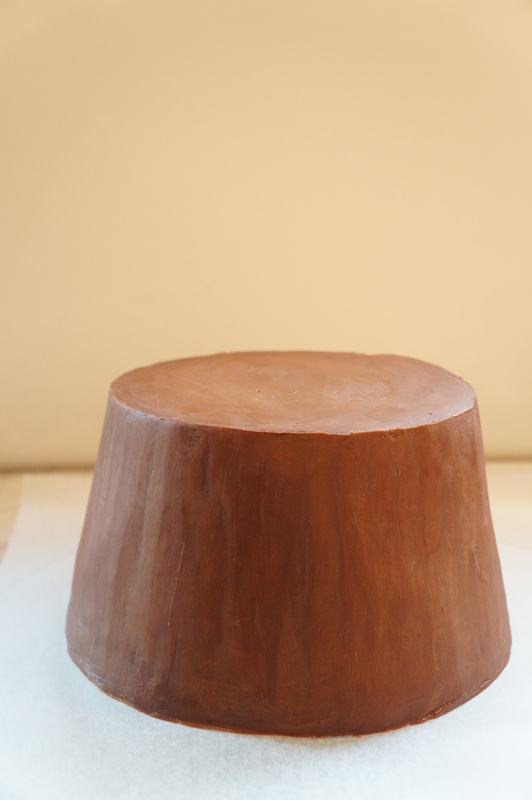 For the cake, I carved an 8 inch cake so that it measured approx 6 inches at the top. 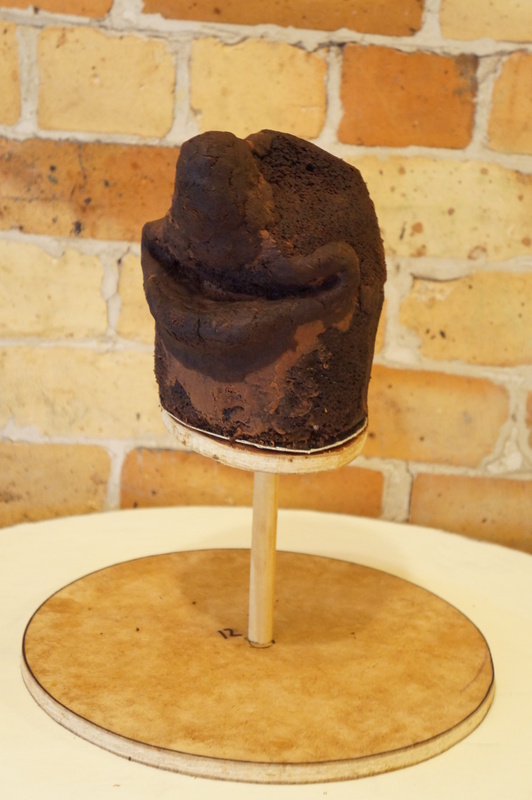 Then covered in ganache. 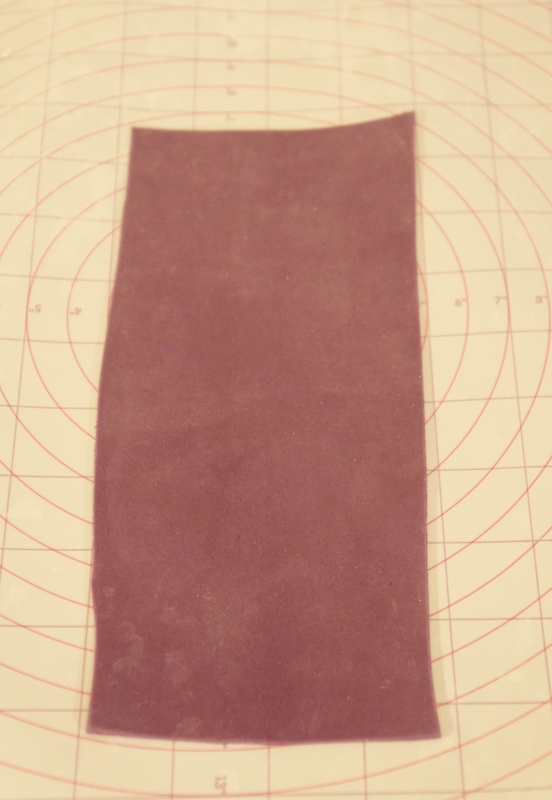 Now to create some pleats. 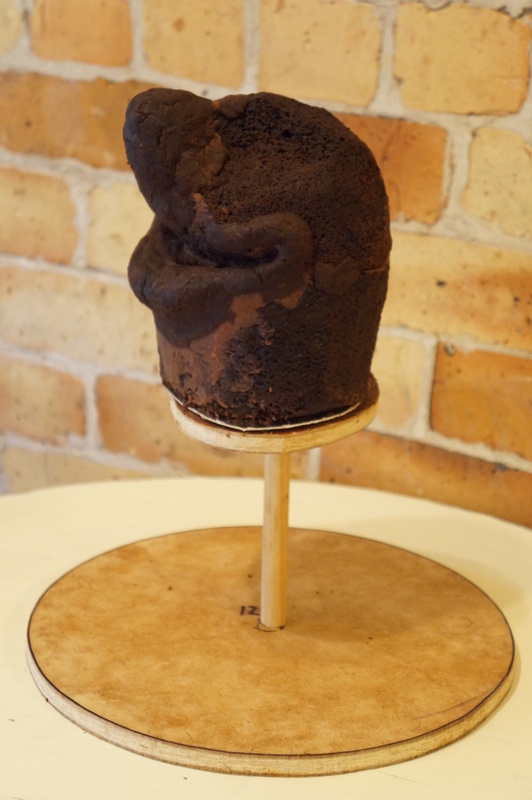 These will be added right around the entire top part of the cake. 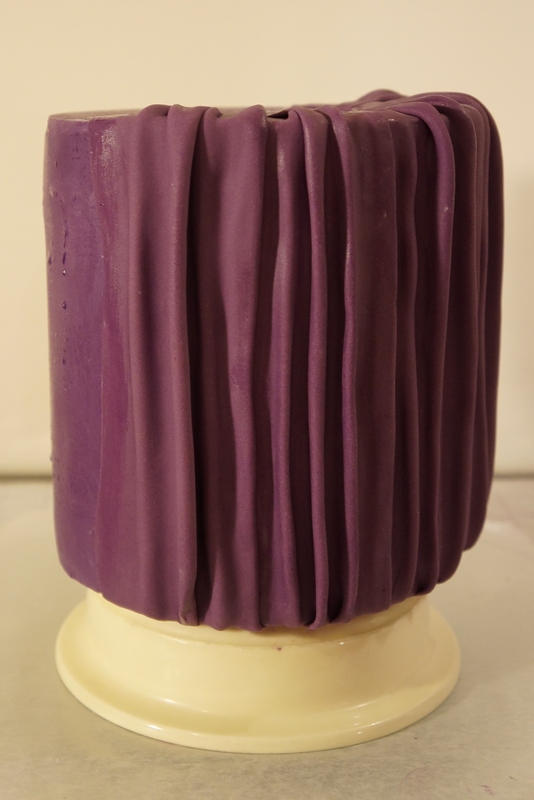 I scored a mark about 1.5 inches down the cake to use as a guideline for where these pleats would end. 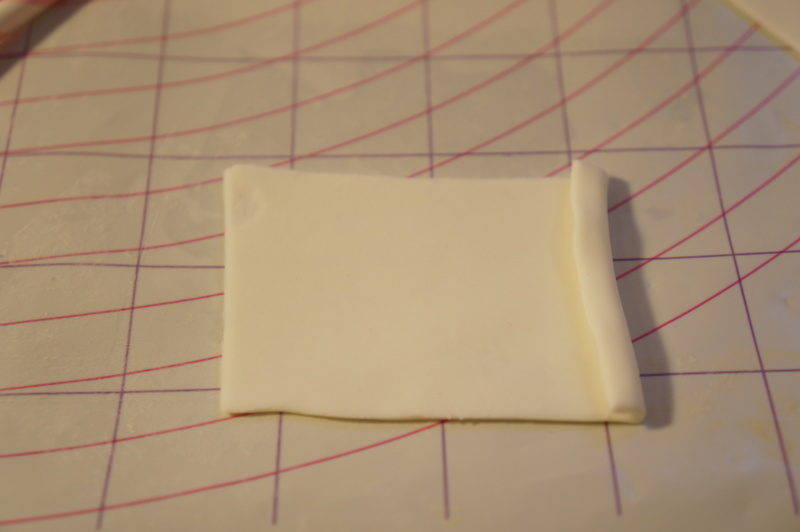 Then I rolled out some very thin fondant, approx inches 2 high and 3 inches wide. 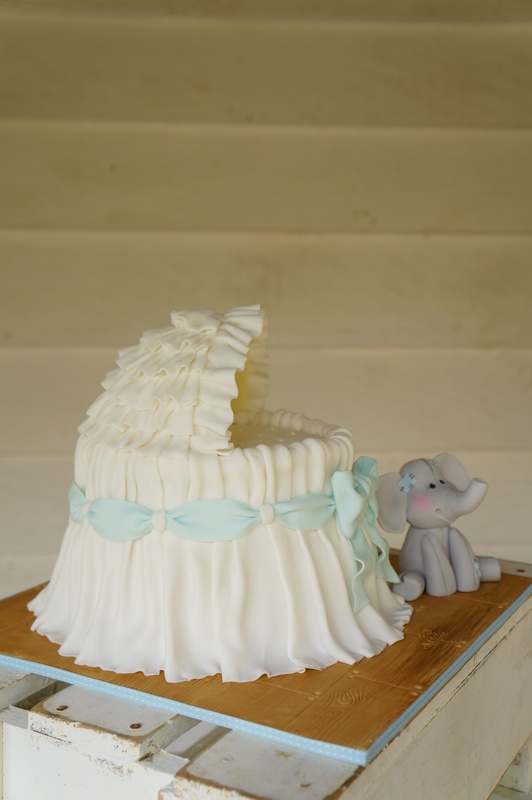 This will vary depending on your design and cake size. 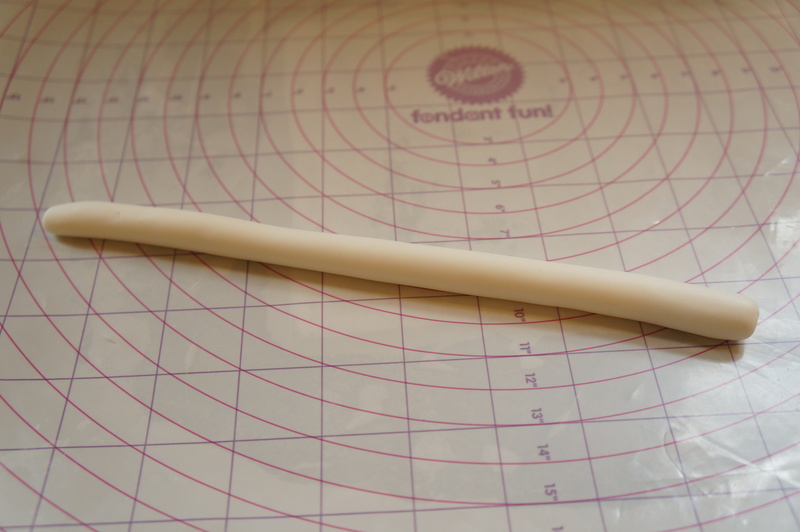 lay fondant over 3 straws (or dowels), use your fingers to smooth grooves into the fondant. 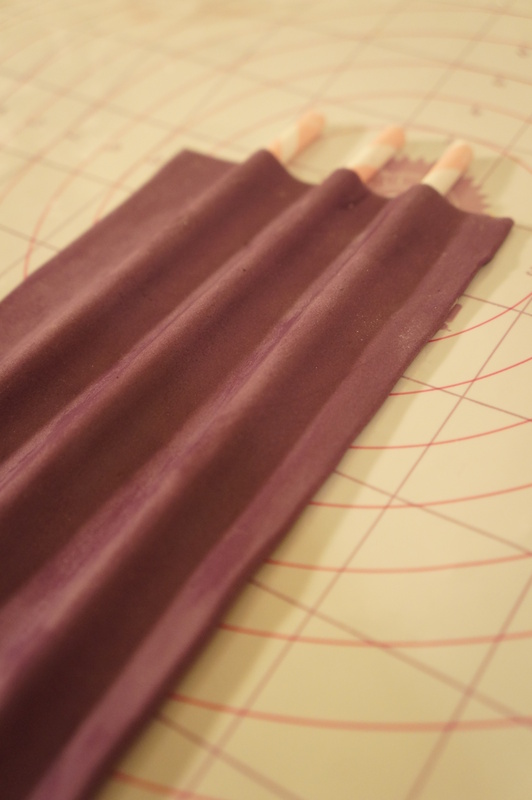 Gather straws at the top to create pleats. 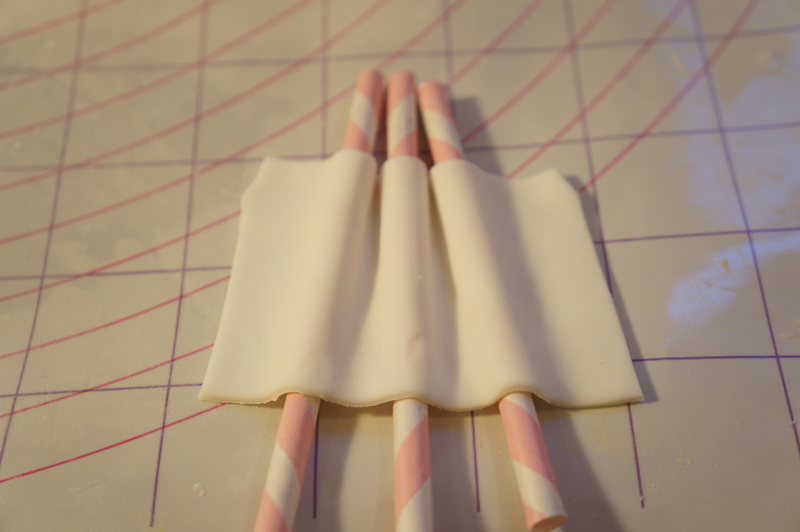 Remove straws and pinch fondant together. 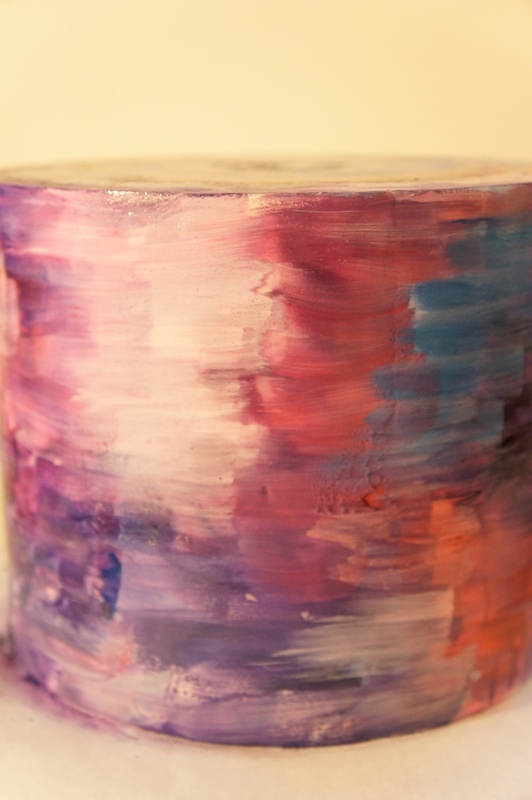 Add a teeny bit of edible glue or water to the inside seam of the tube. 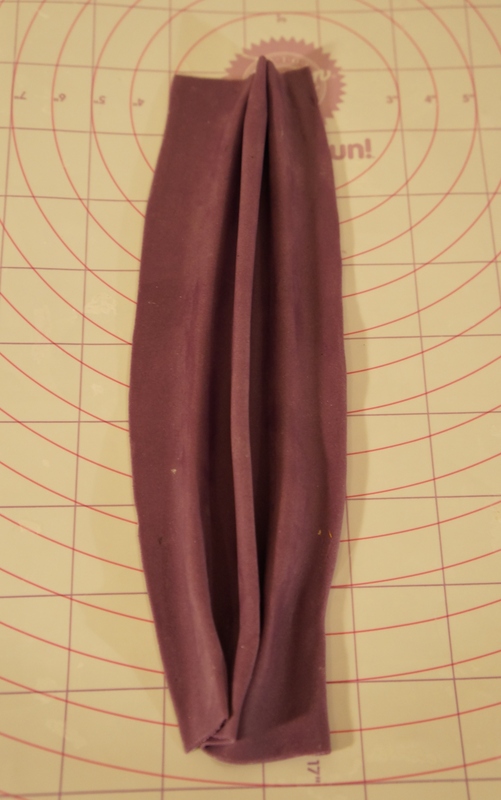 I have already added the first pleat in this image. 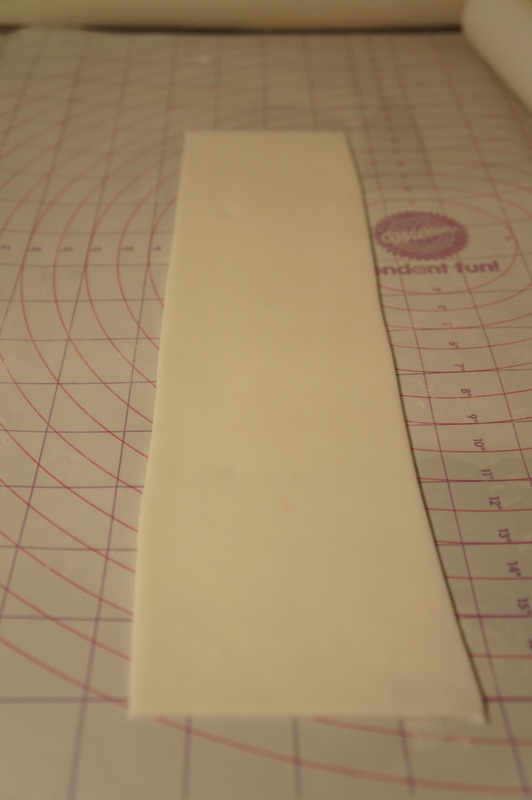 Pull pleat over tube and adhere the bottom of the pleat to the line that has been scored as a guideline. 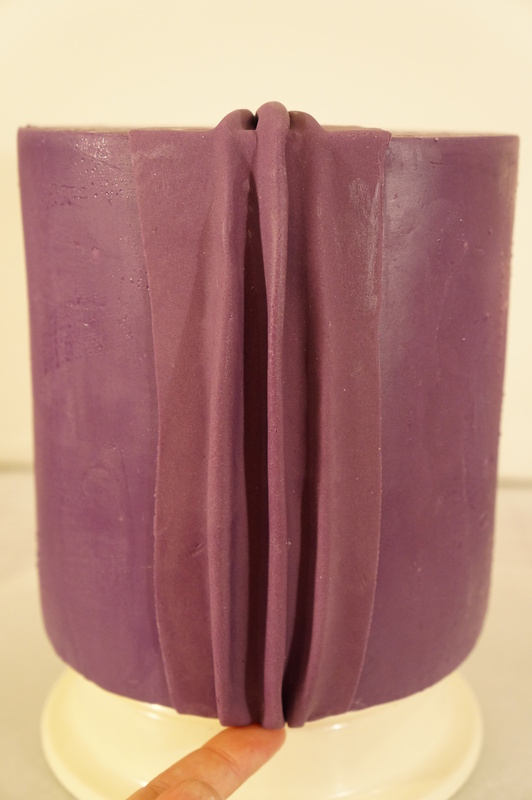 The pleat should have a tidy finish on the inside. 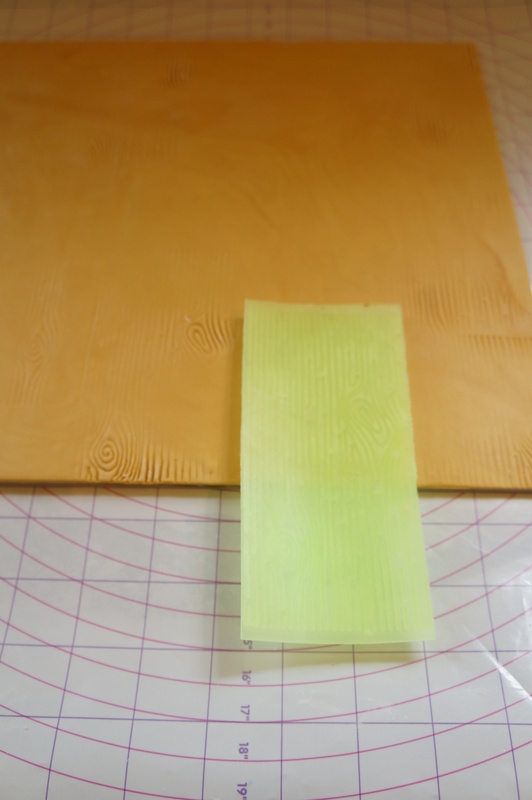 All of the following pleats must have a little “hem”, this part over laps the prior pleats and gives the effect of one continuous piece of fabric. 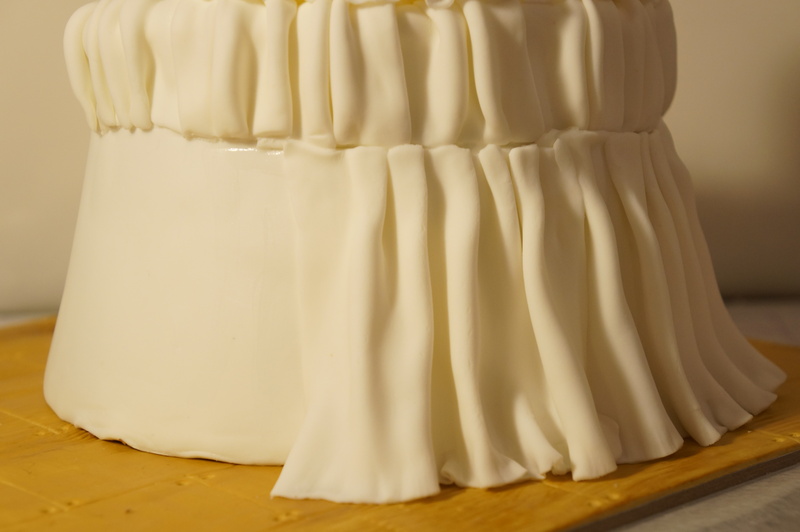 Finish the pleats moving around the entire top of the cake. Taa-daaa! 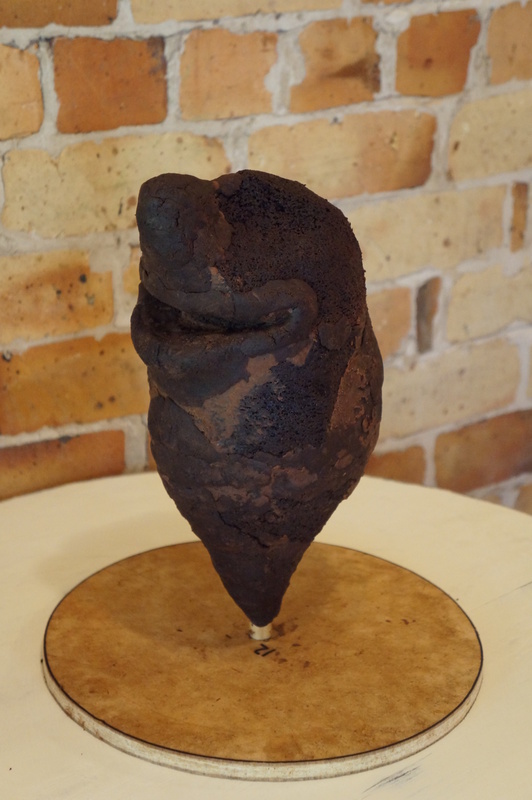 Ok, so there’s a bit to go but you see where this is going now…. 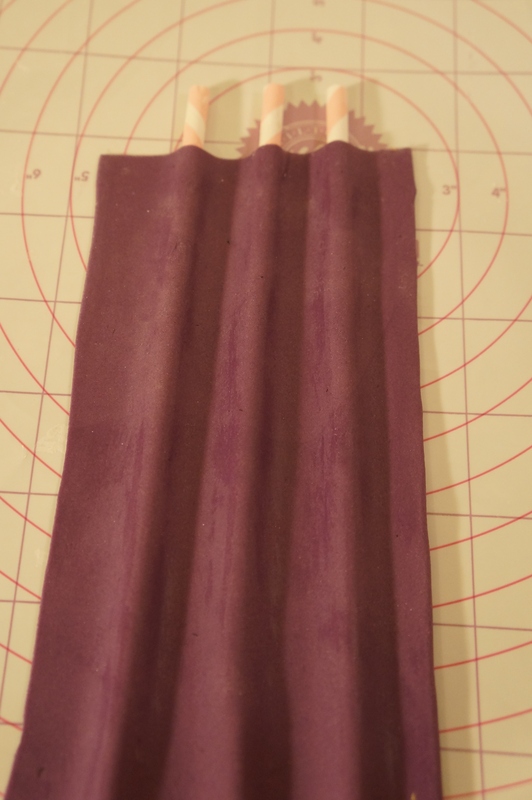 Now for the bottom fabric pleats, this part can be done is long sections. 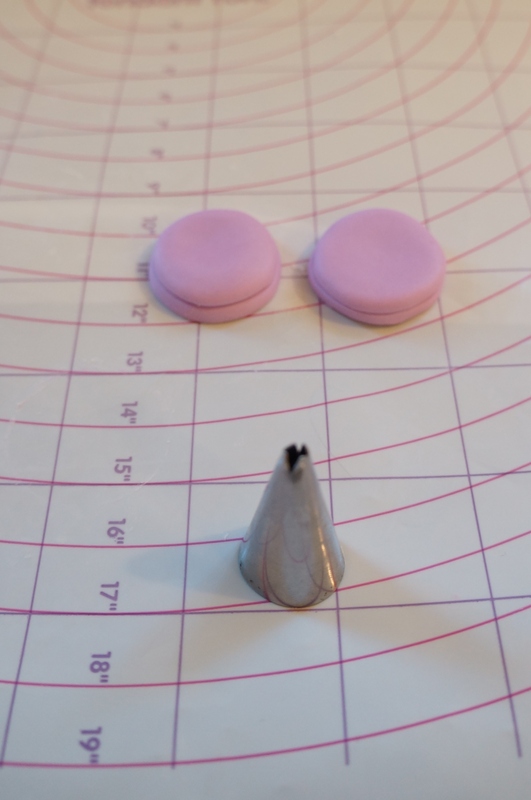 but its important to measure out the correct height. 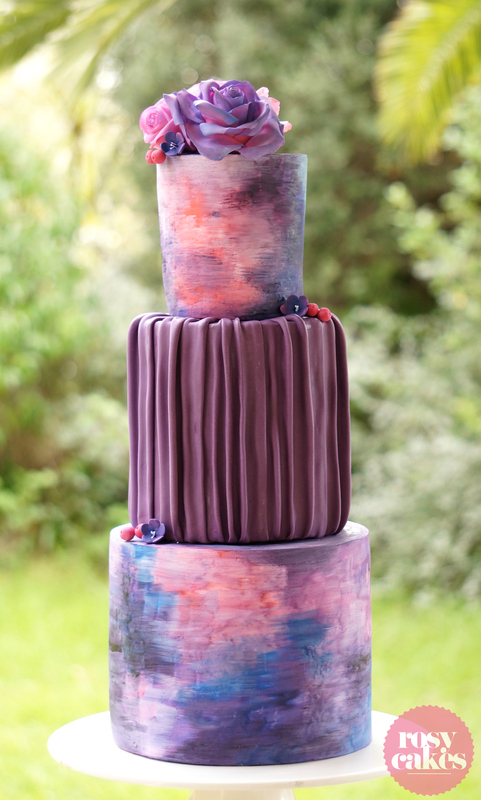 Add pleats the whole way around. 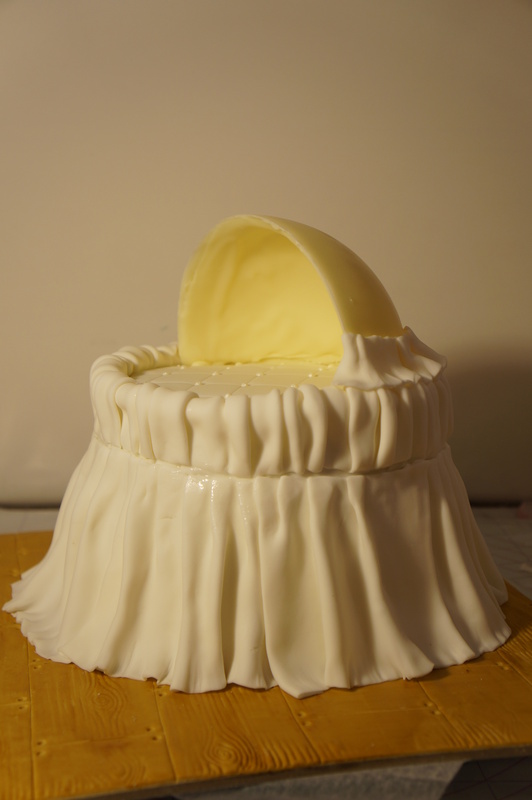 Take time to adjust the bottom to make sure its falls nicely. 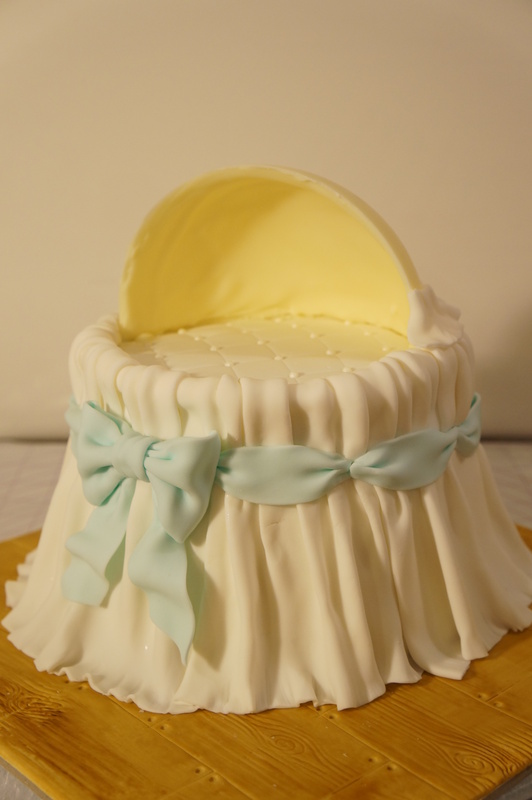 Add Bassinet features, I added ribbon swags and a large bow. The swags hide where the pleats join. 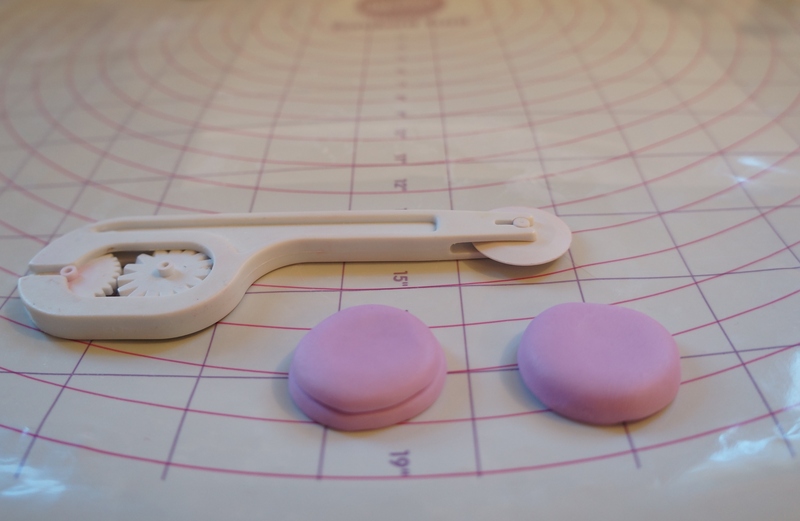 I created the ribbon swags by cutting lengths of very thin fondant and then pinching the ends together to give an effect of being threaded into the fabric. 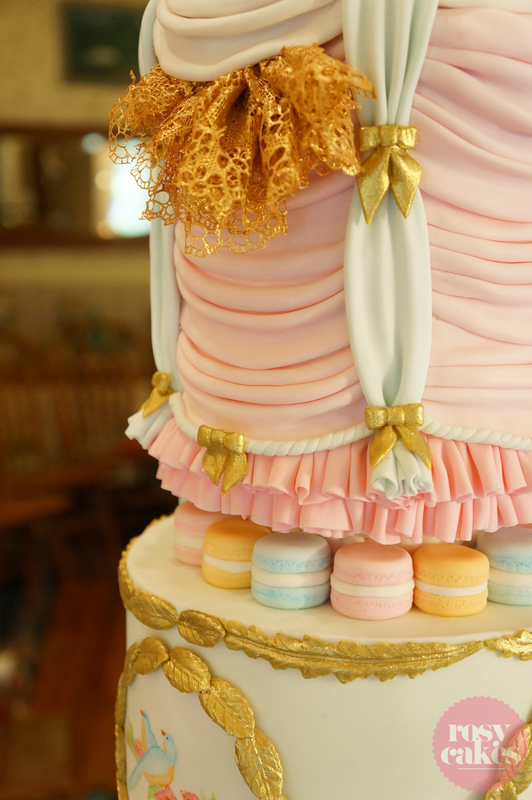 You will see in the final pics I have also added little white strips of fondant where the ribbon swags join. 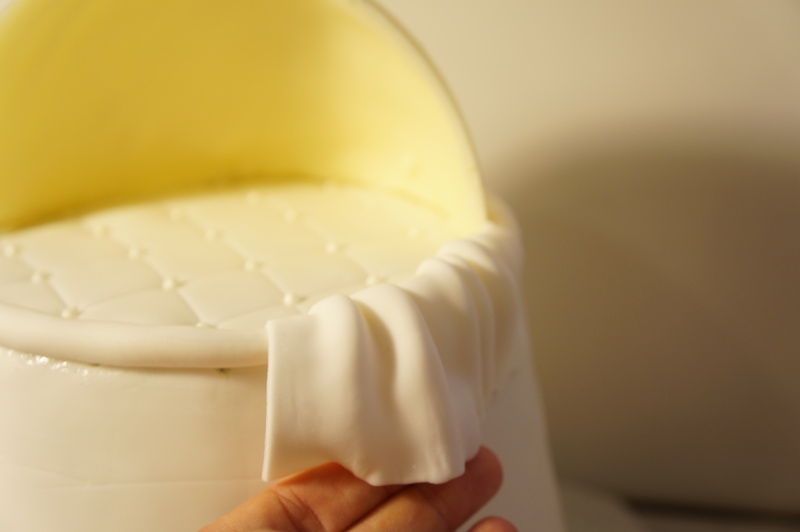 To create the bassinet hood pleats, I cut long strips of fondant, and used a tooth pic to soften and ruffle the edges, then I applied edible glue to the chocolate base and gently applied the first ruffle to the front of the bassinet, I wanted the pleat to over hang the chocolate base as shown. 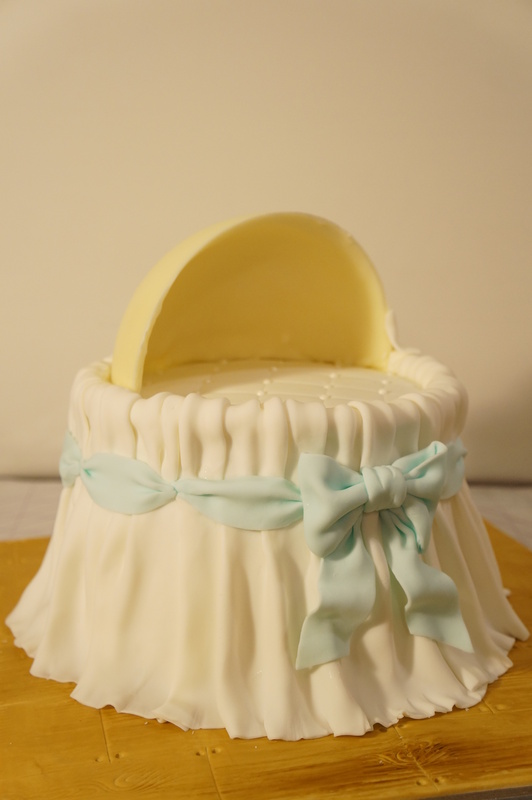 Work all the way up to the top of the bassinet hood, ensuring each layer slightly over laps the prior layer and that the chocolate base is not exposed. 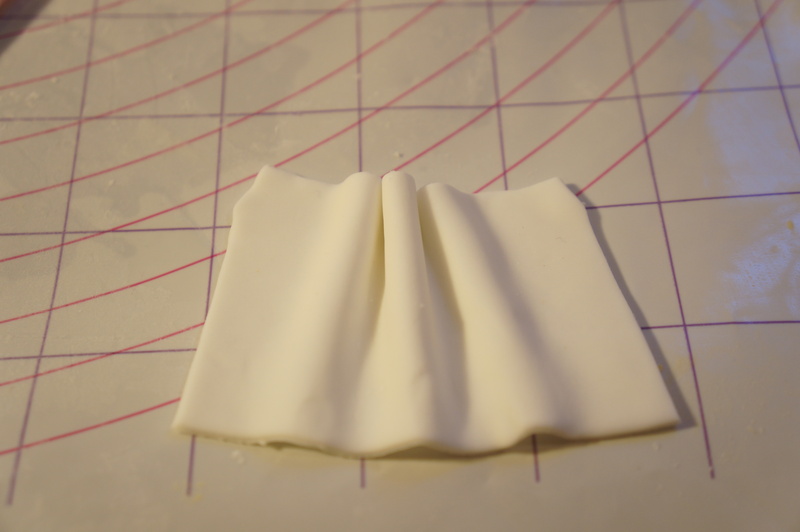 Give each end of the ruffles a small hem to ensure a tidy finish. 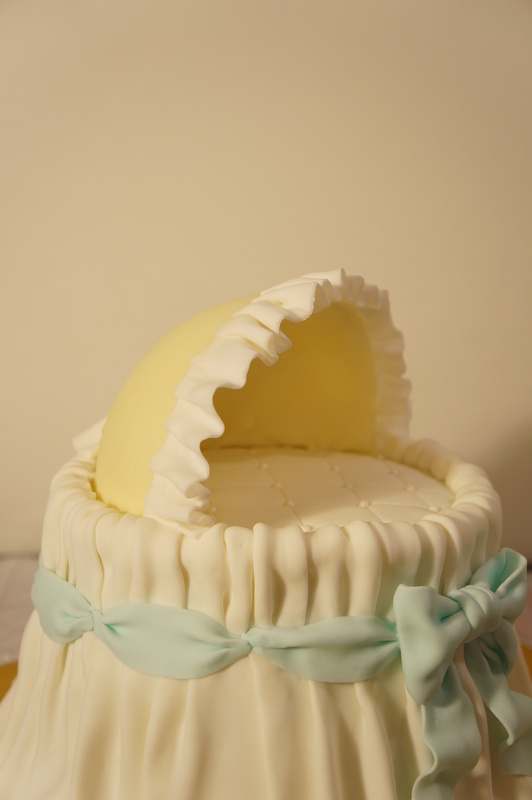 And the finished cake with my extra little touches (I added a pearl border inside the hood for a tidier finish). 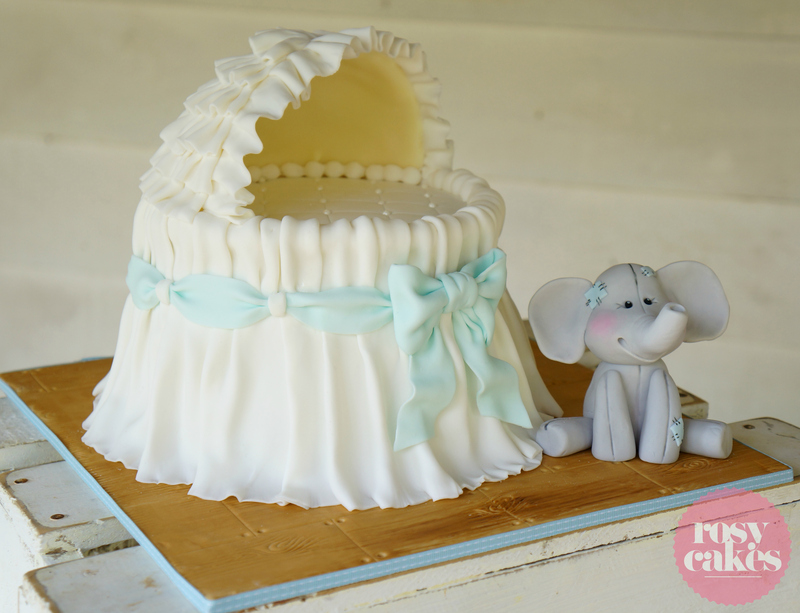 You can also see my little white strips I mentioned above that cover the blue ribbon joins, and of course my cute little elephant! 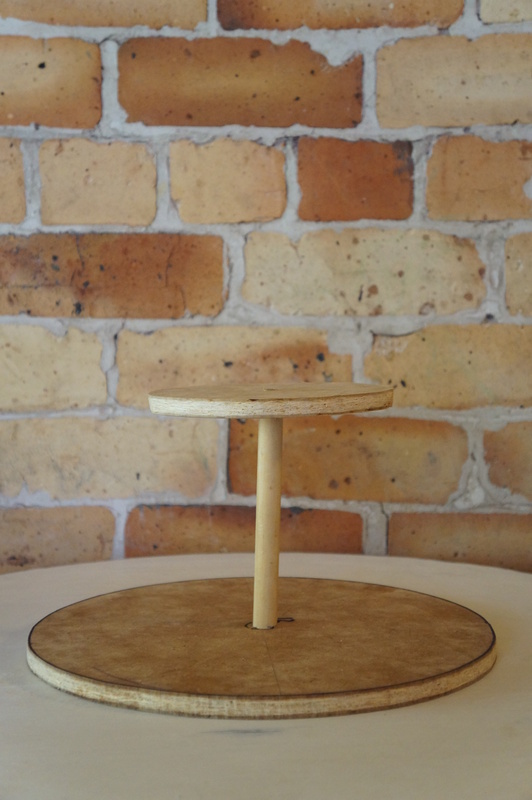 The cake is sitting a wood grain board which I have also done a tutorial for. 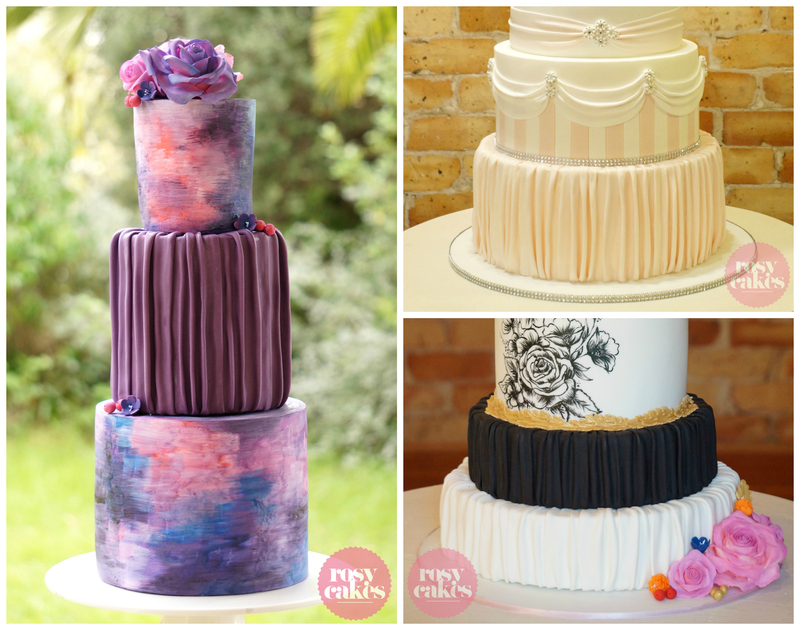 rosycakesnz on I started a blog….